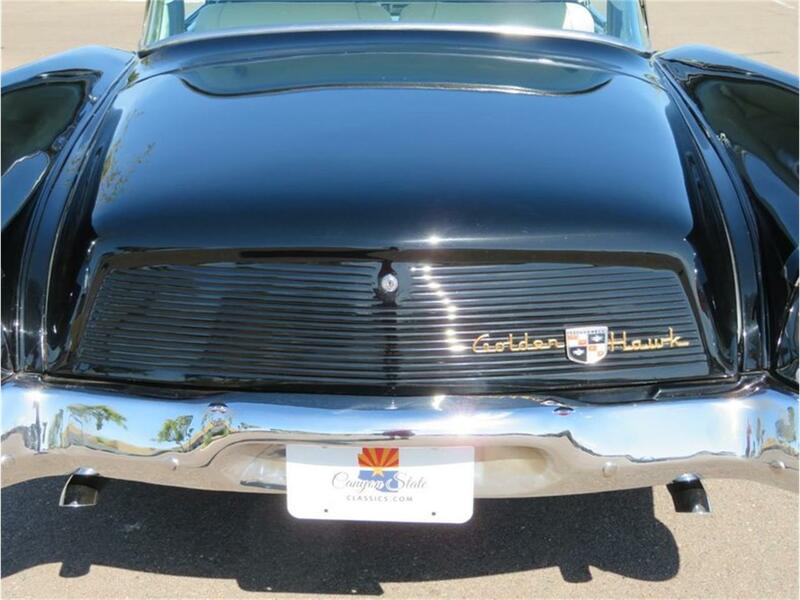 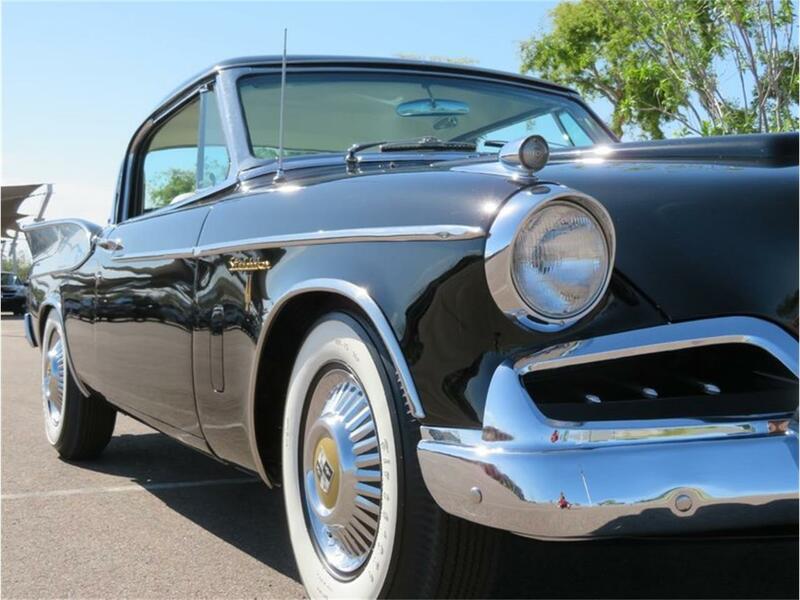 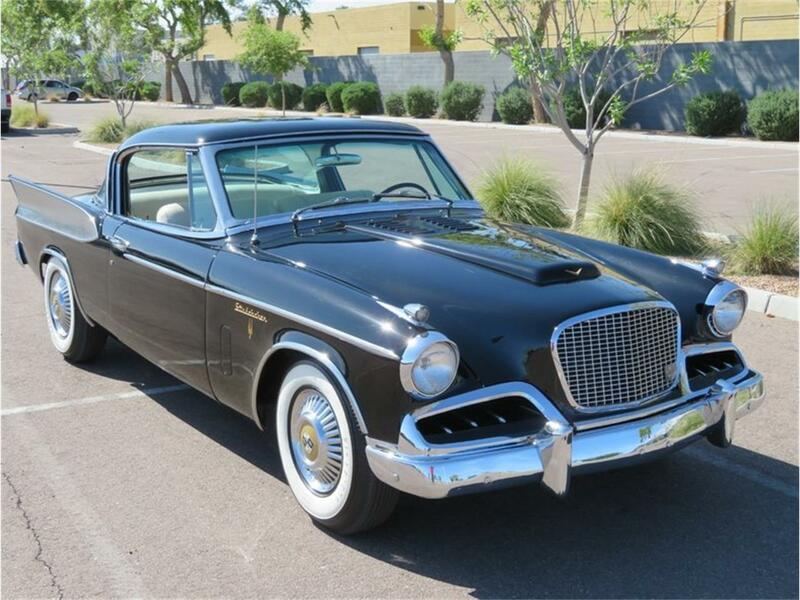 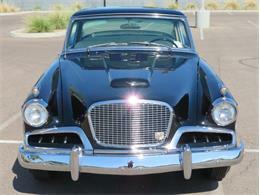 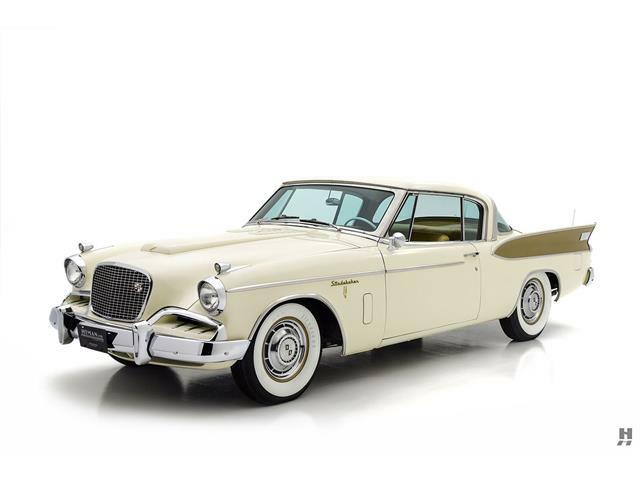 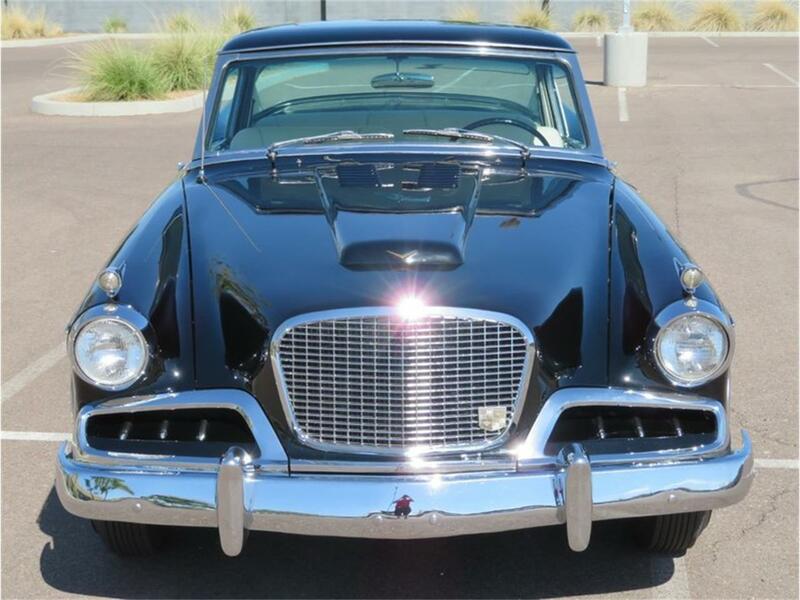 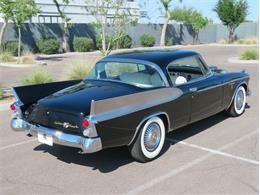 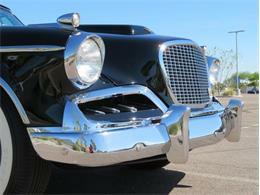 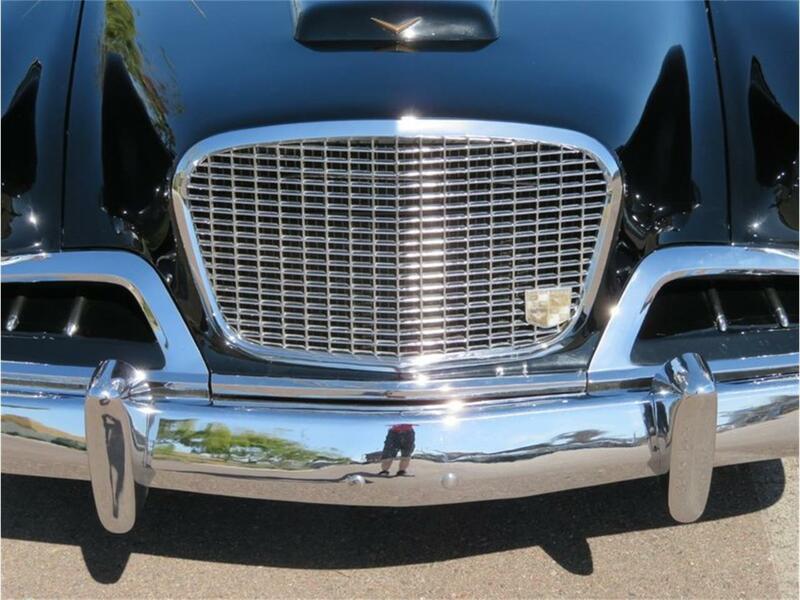 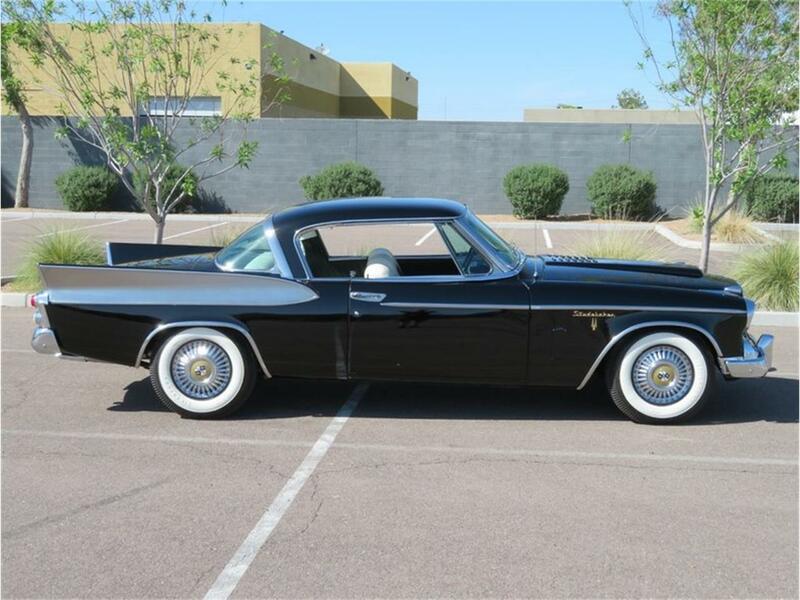 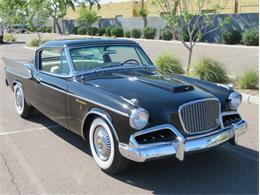 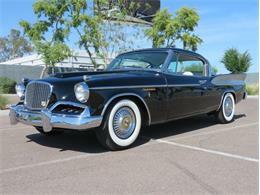 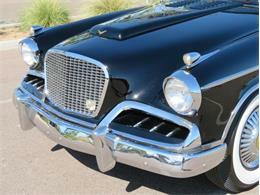 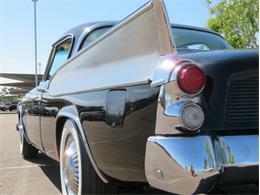 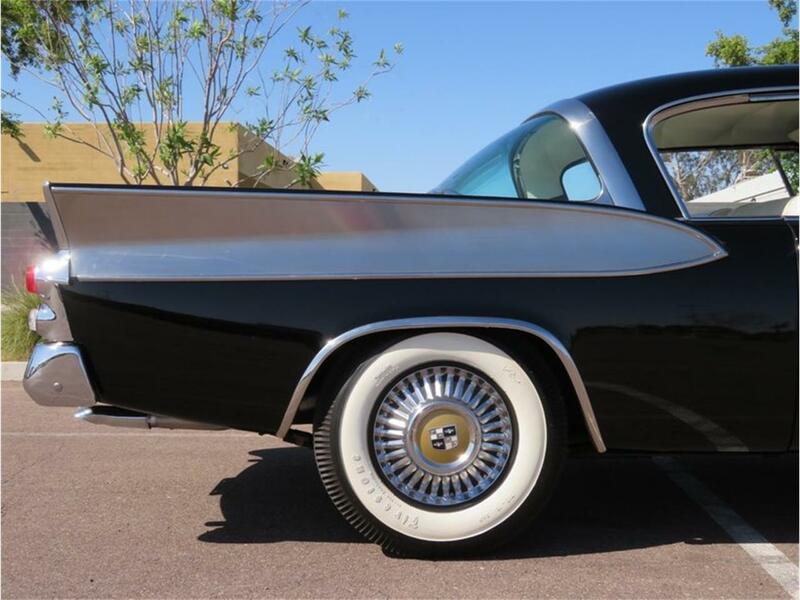 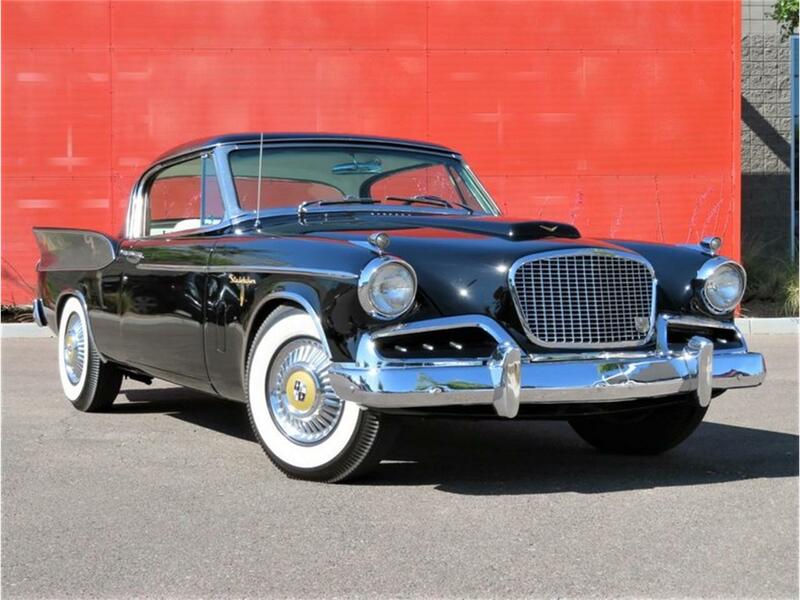 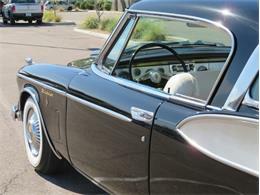 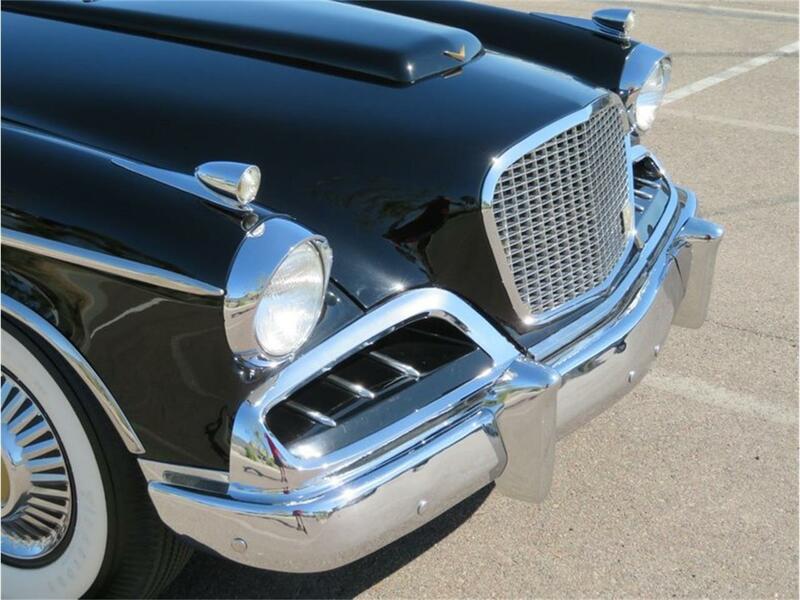 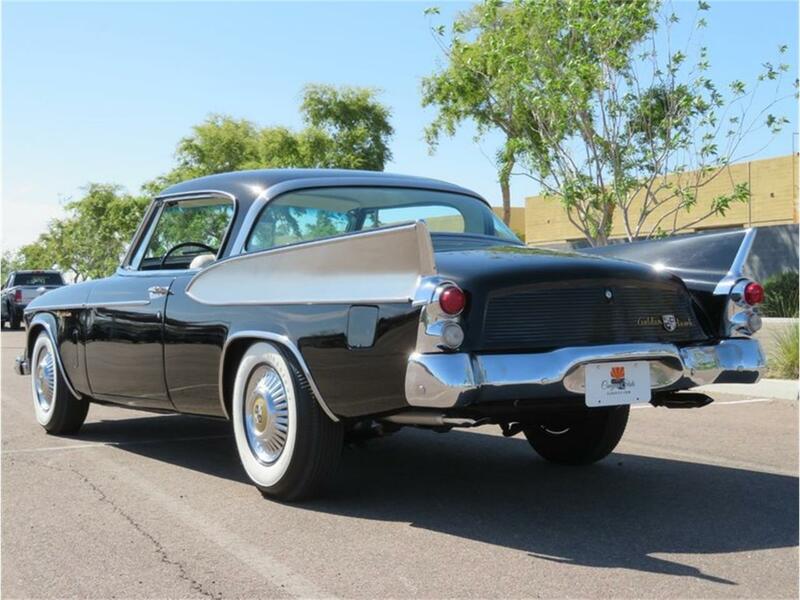 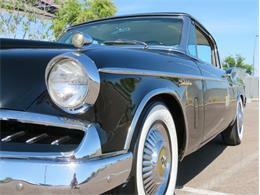 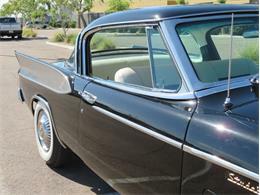 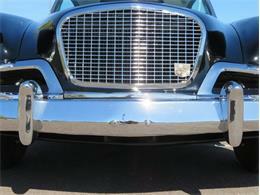 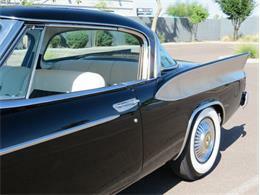 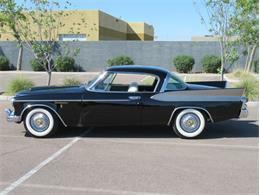 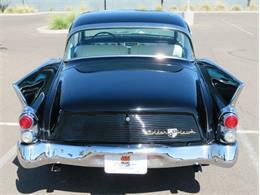 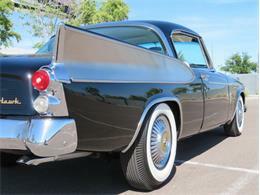 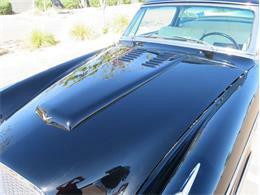 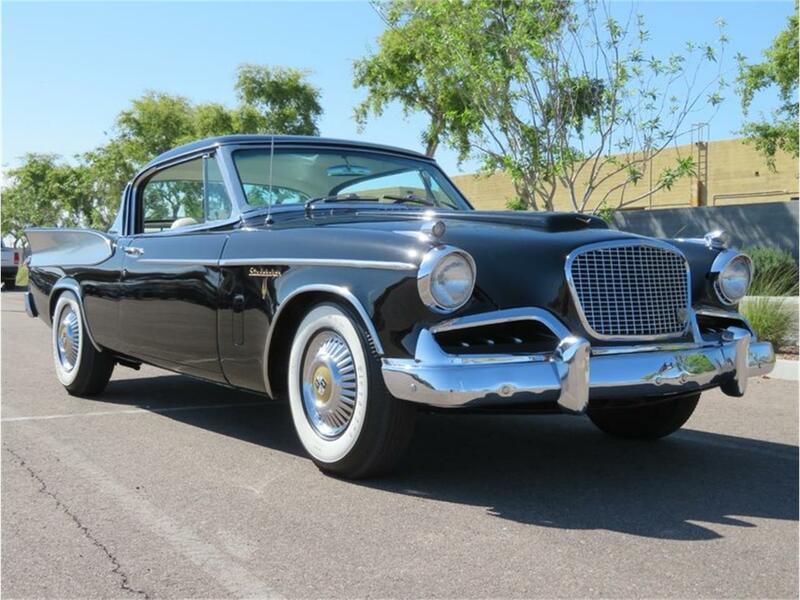 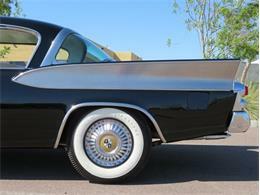 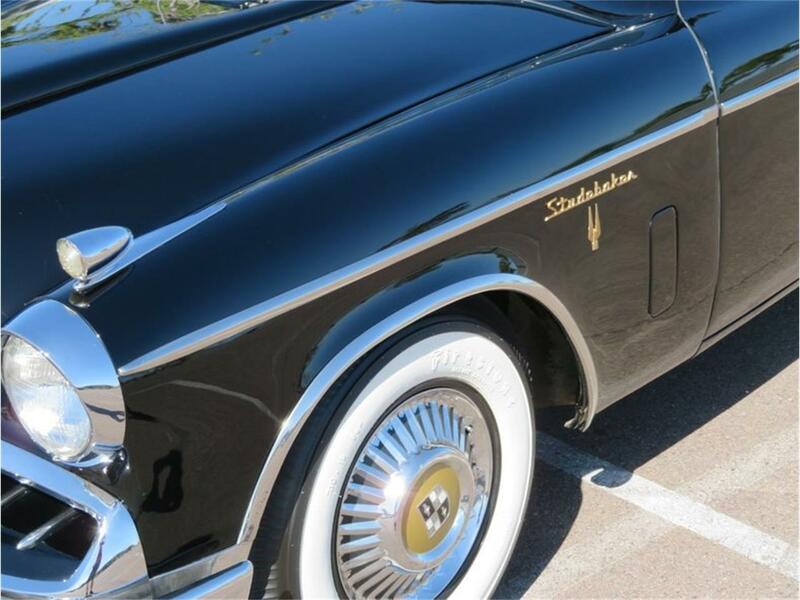 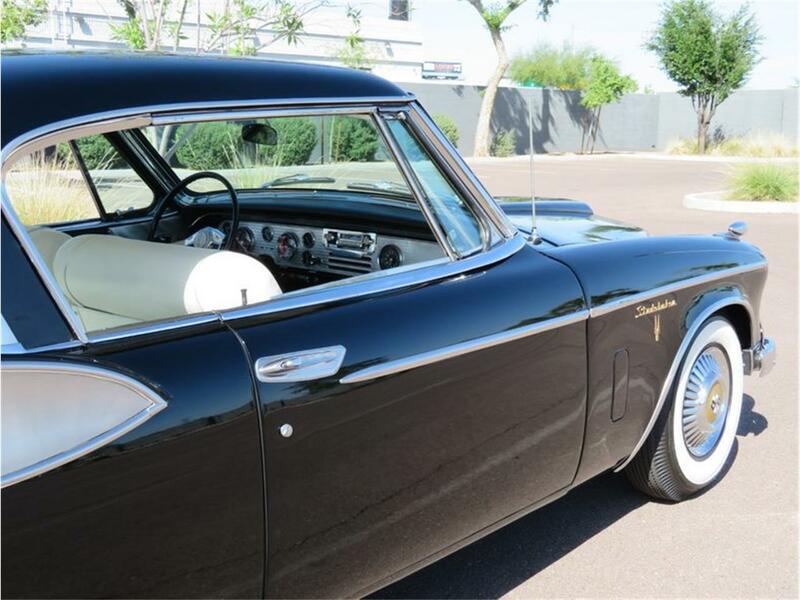 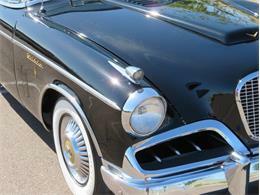 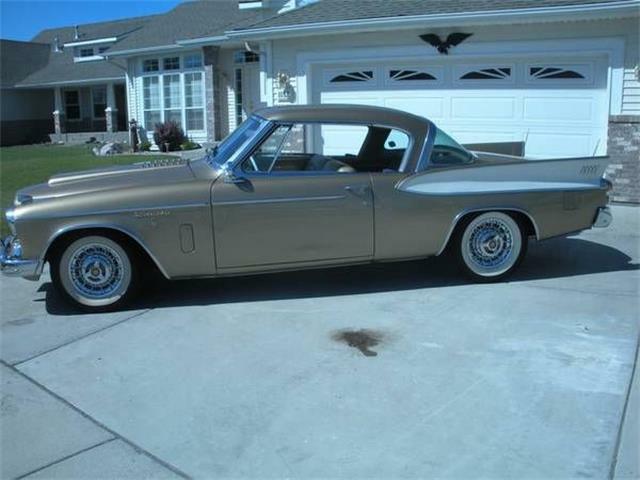 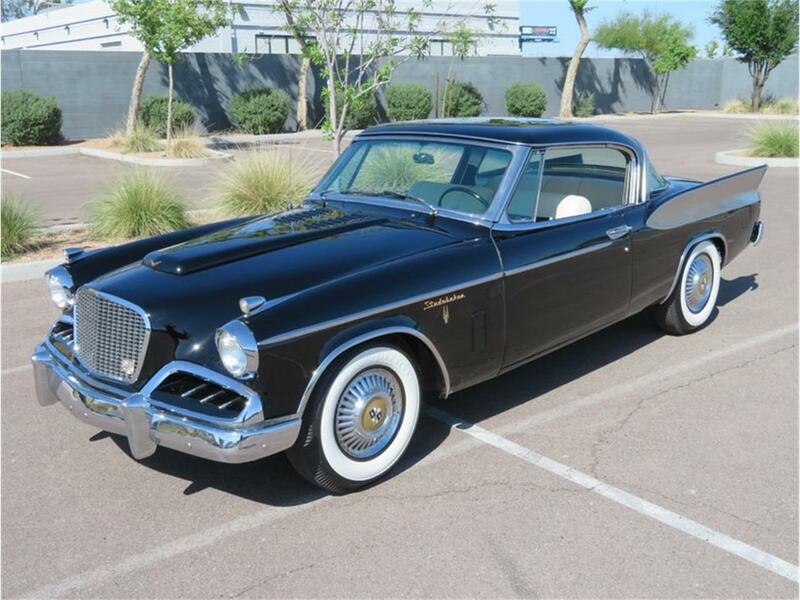 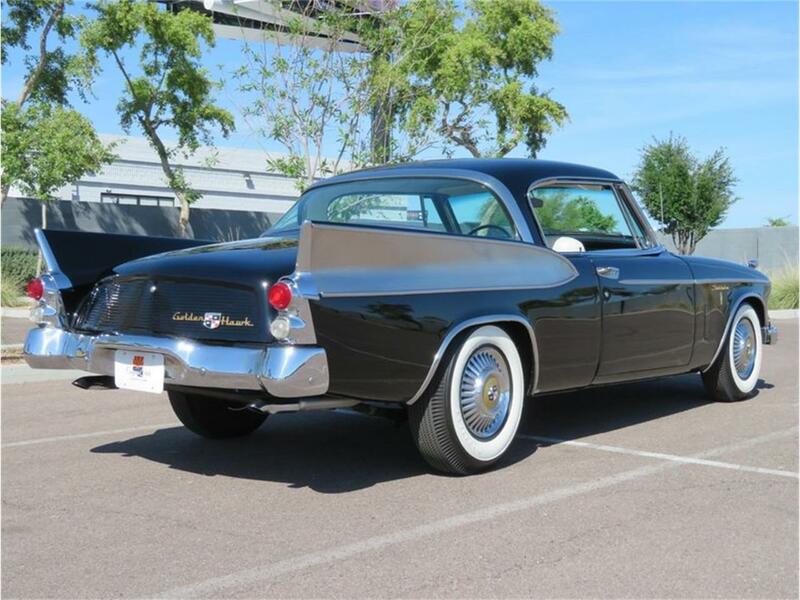 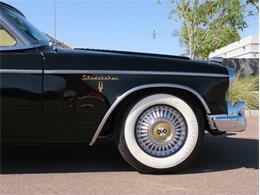 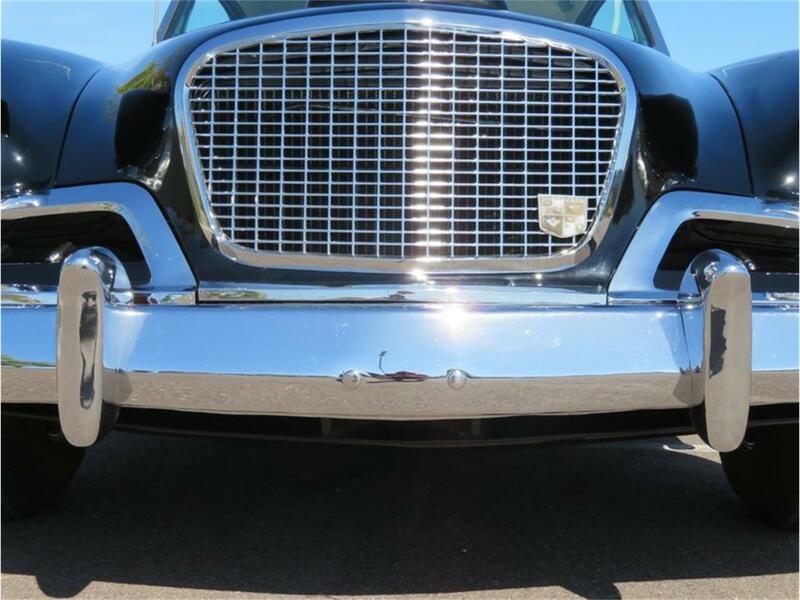 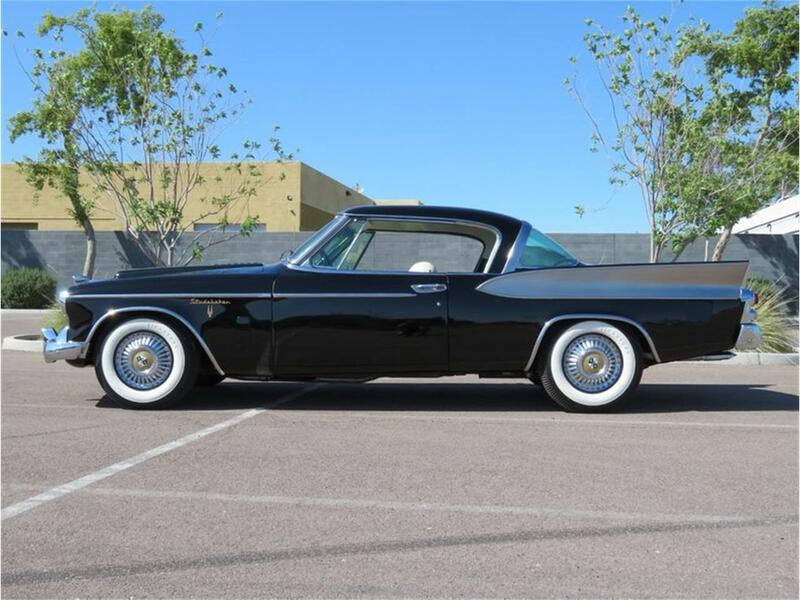 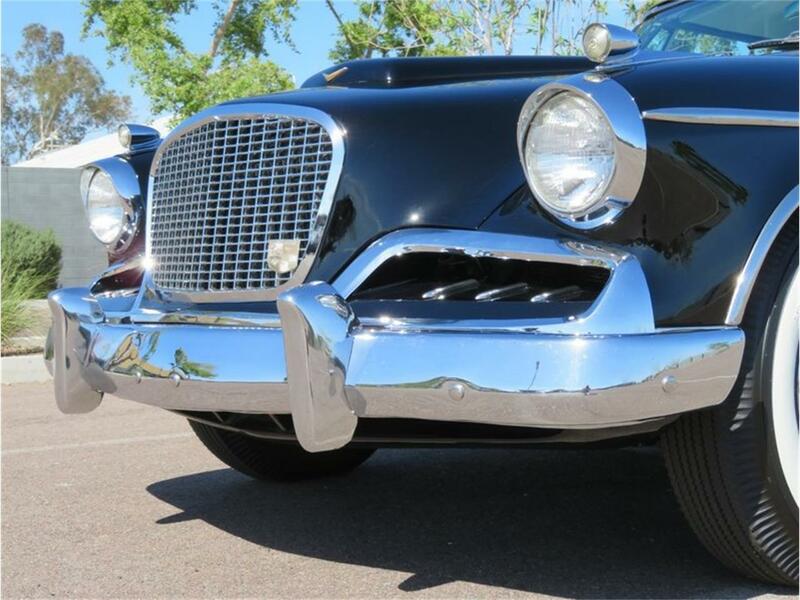 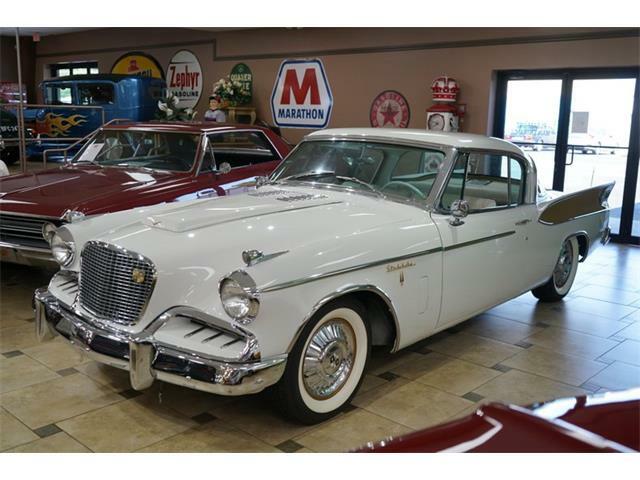 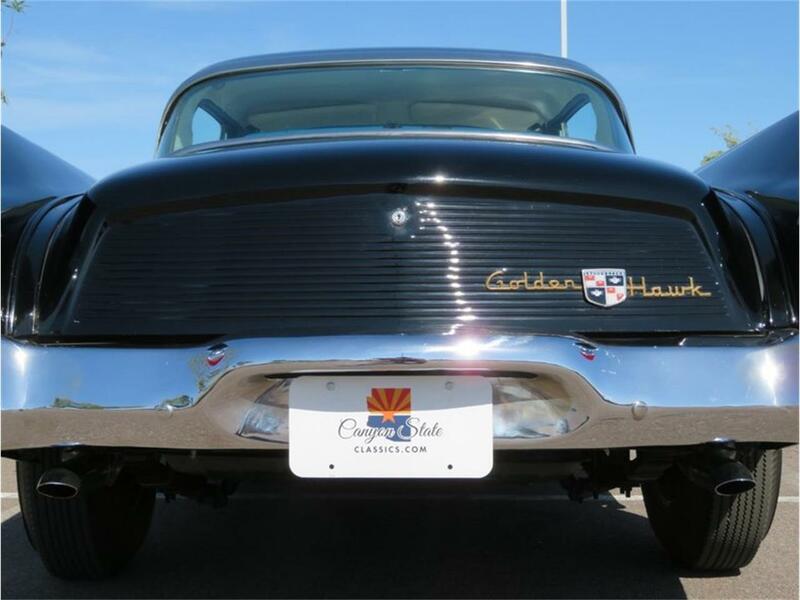 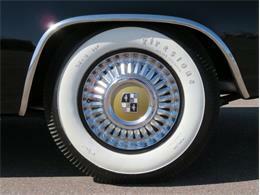 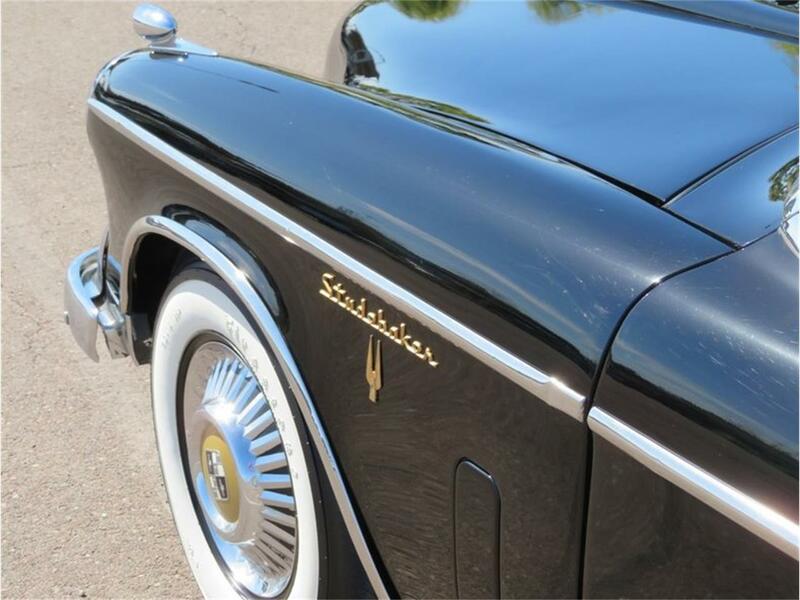 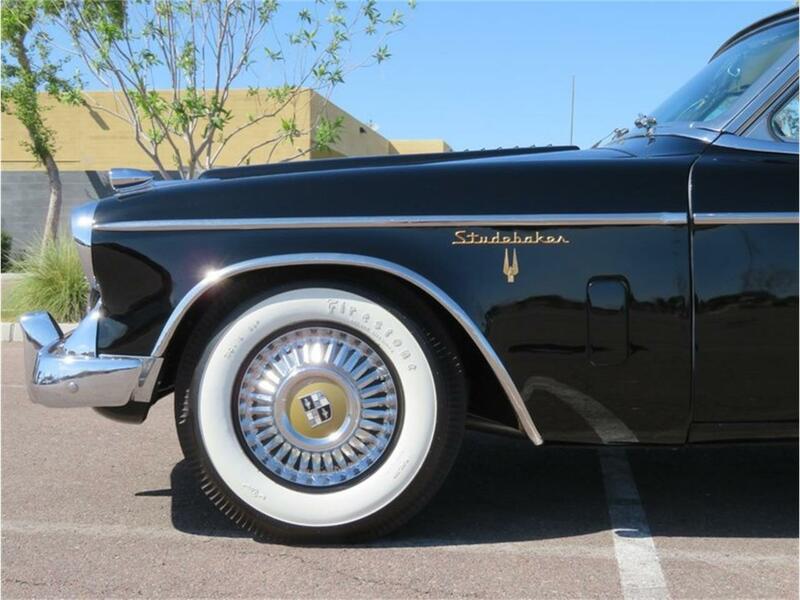 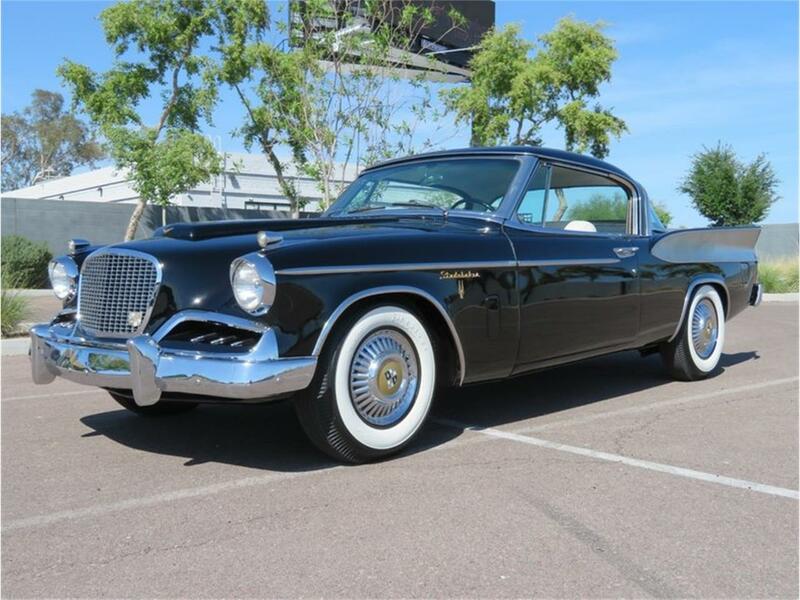 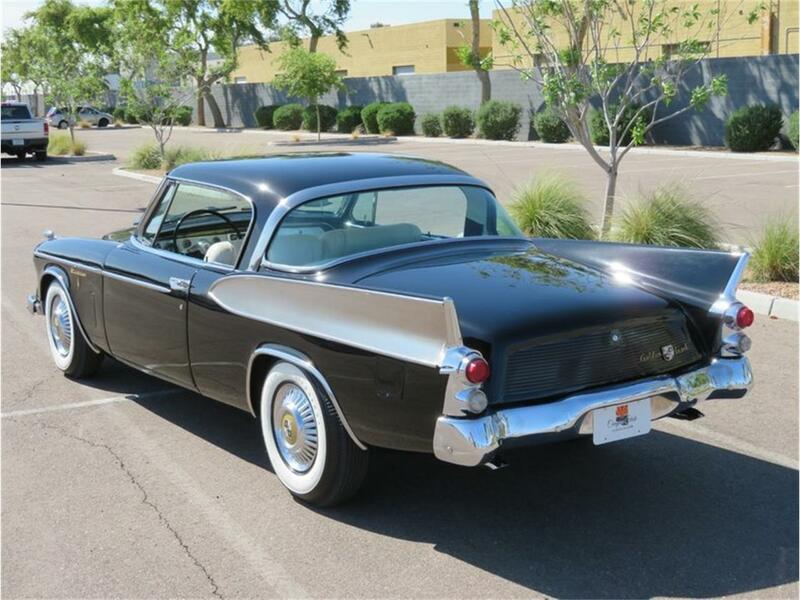 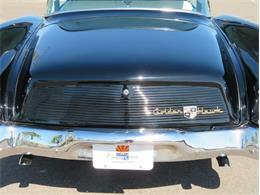 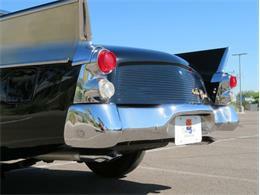 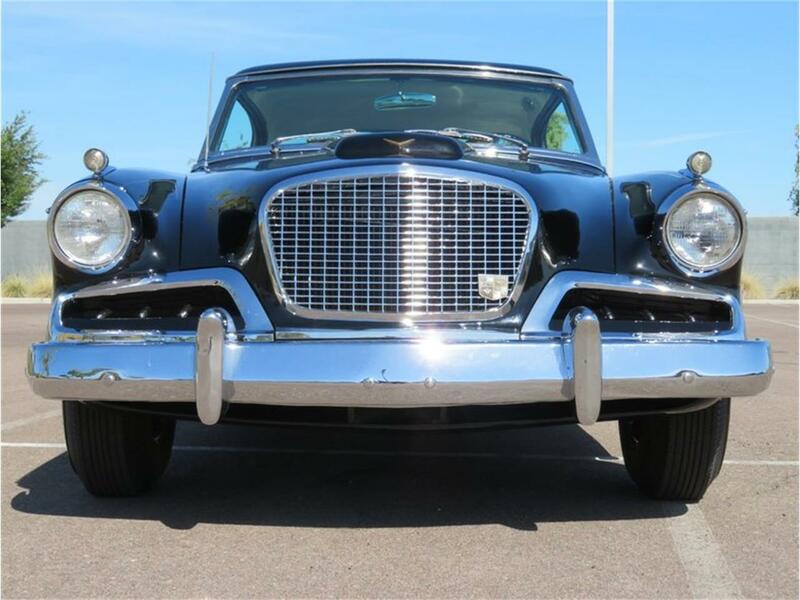 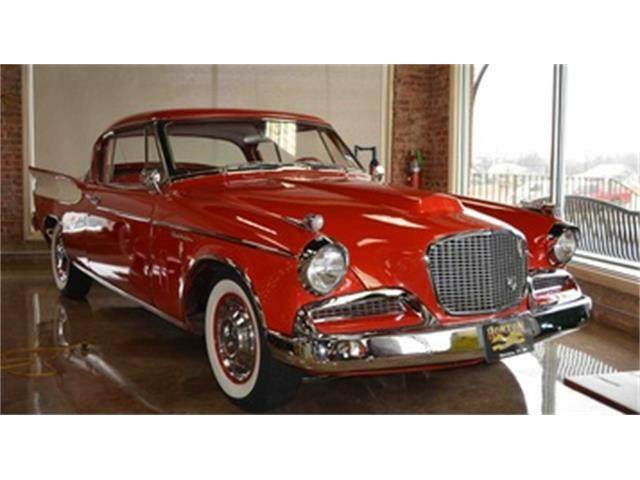 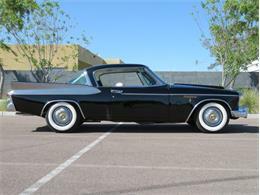 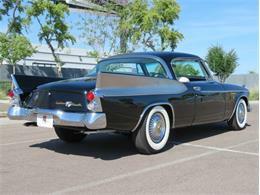 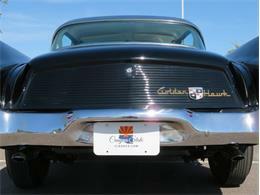 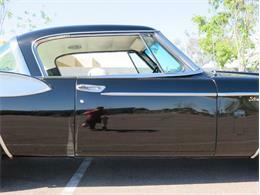 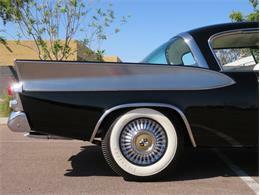 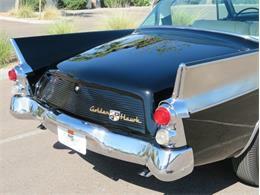 Canyon State Classics is proud to present the 1957 Studebaker Golden Hawk. These do not come around often so dont miss your chance to put this classic in your garage! For the 1956 model year Packard's 352 was superseded by the significantly lighter Studebaker-designed 289 cubic inch V8. On paper this might seem like a downgrade but the addition of a belt-driven McCullough supercharger allowed the 289 to punch out a very stout 275 horsepower and 333 lb. - ft. of torque. 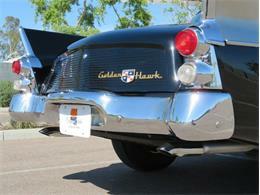 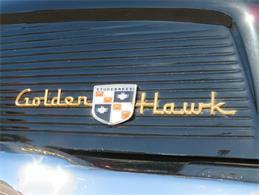 Over 100 pounds were shed from over the front axle making the four-seat Golden Hawk surprisingly fast. 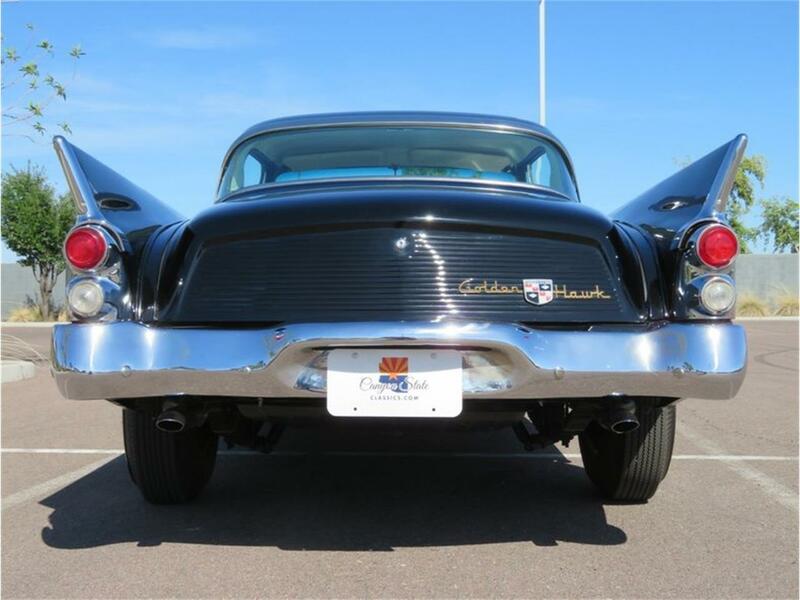 It could easily outperform both the Ford Thunderbird and Chevrolet Corvette in a straight line and now had vastly improved handling to hang with its two-seat rivals on twisty roads. 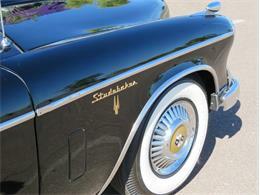 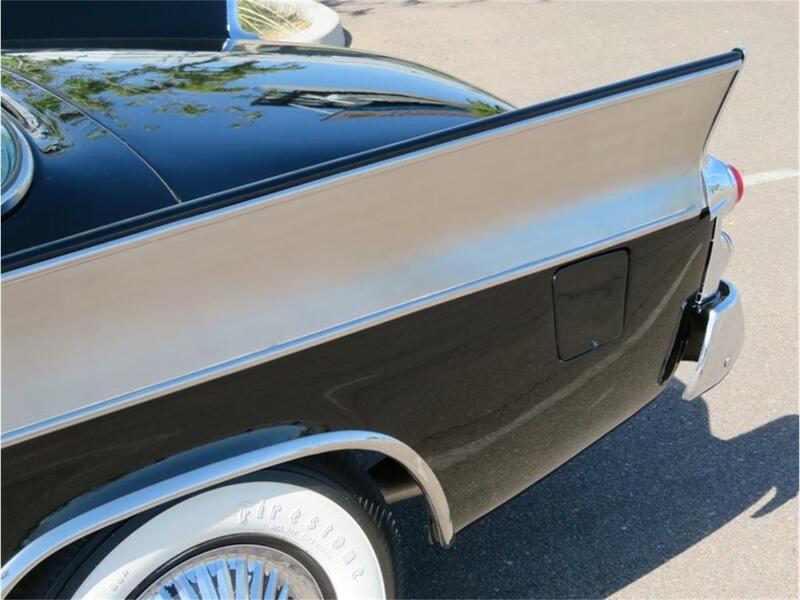 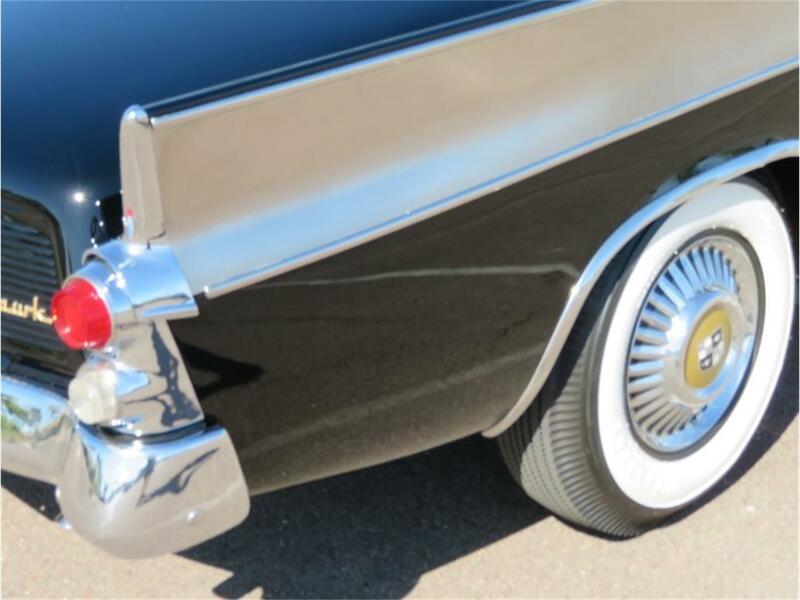 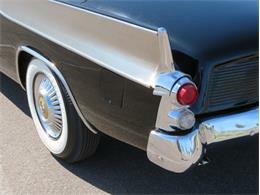 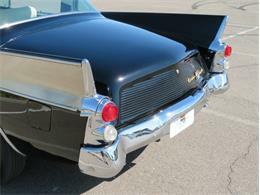 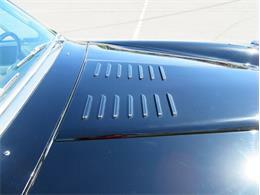 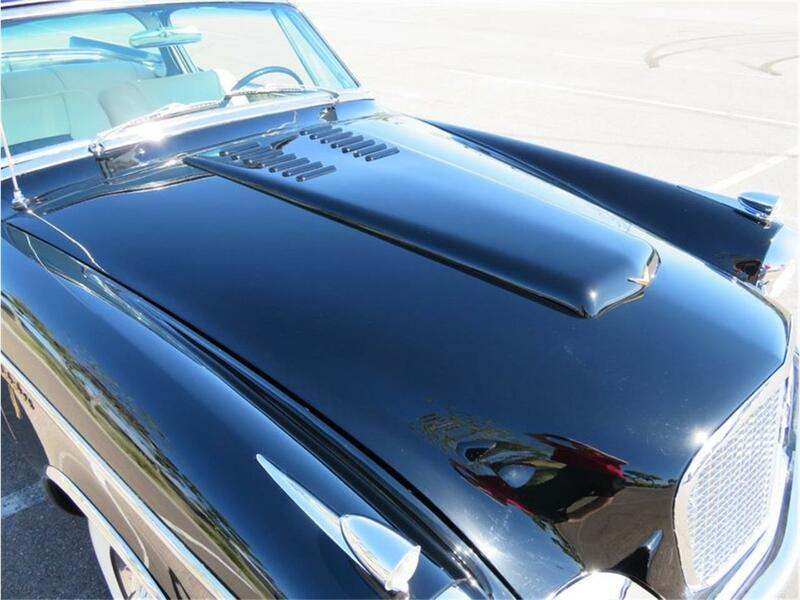 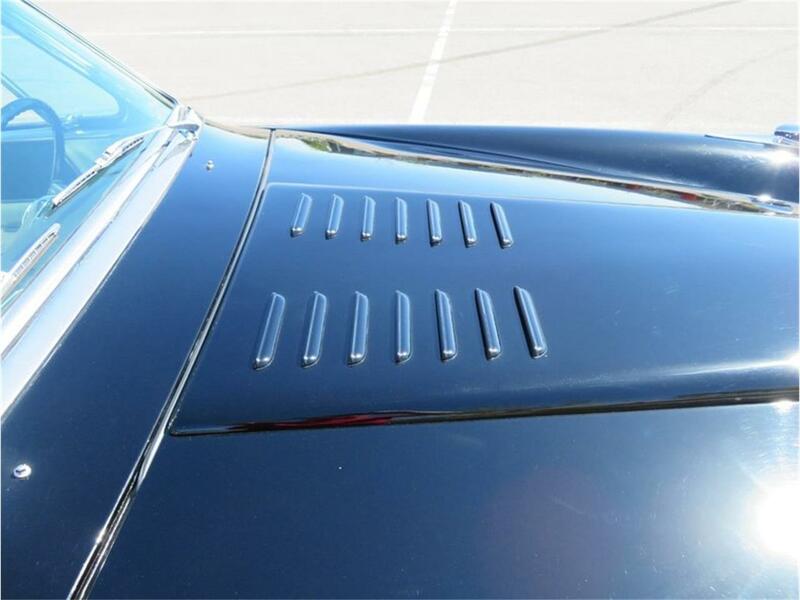 The body retained the old roofline of the Starliner but was brought in vogue with fiberglass fins (to the disdain of Robert Bourke the Starliner's designer) a hood bulge to clear the blower and unique trunk lid with a fluted rear panel. The Golden Hawk proved to be one most powerful American GT cars of the era made even more impressive by the shoestring budget under which it was developed and today is counted among the most desirable and collectible of all Studebakers. 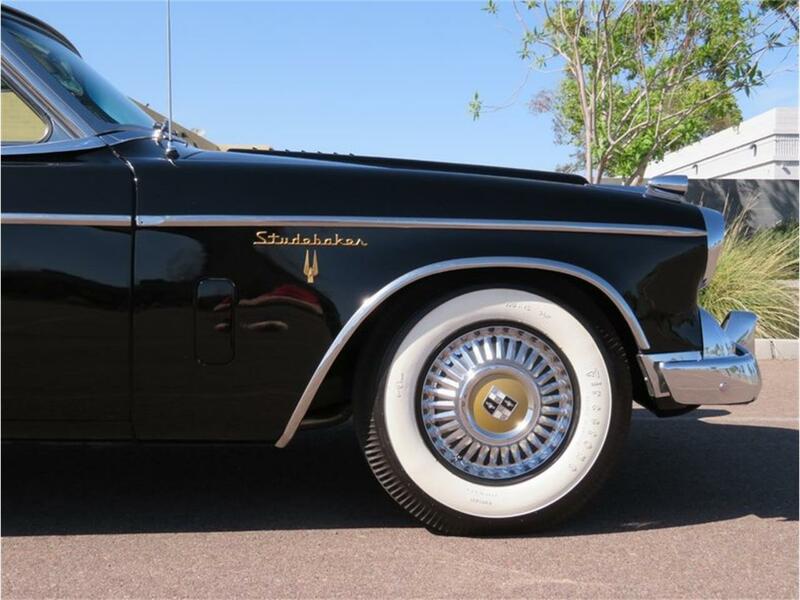 This striking 1957 Studebaker Golden Hawk is a wonderful example wearing a finely-preserved older restoration. Recently out of 12 years in a large and diverse collection of sports cars this Studebaker was originally a delivered to California where it remained for many years before going up to Canada in the late 90s where it was restored between 2007 and 2010. 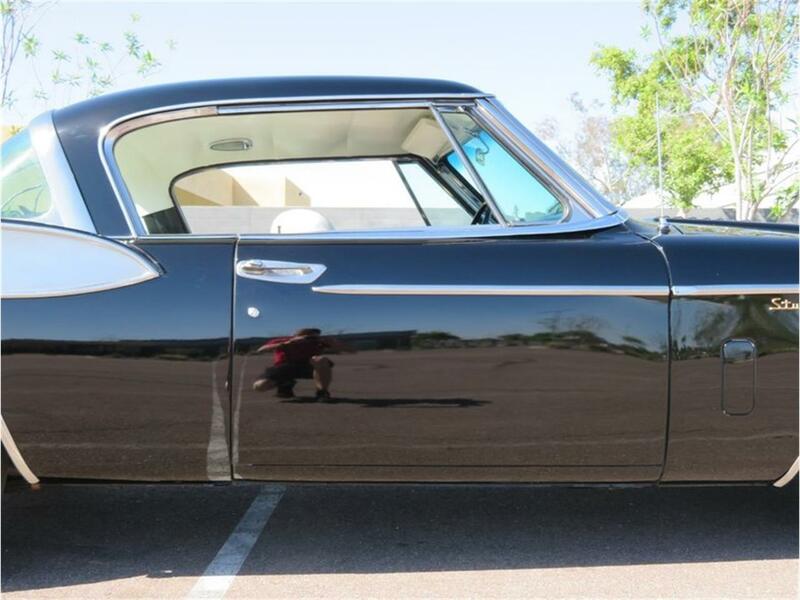 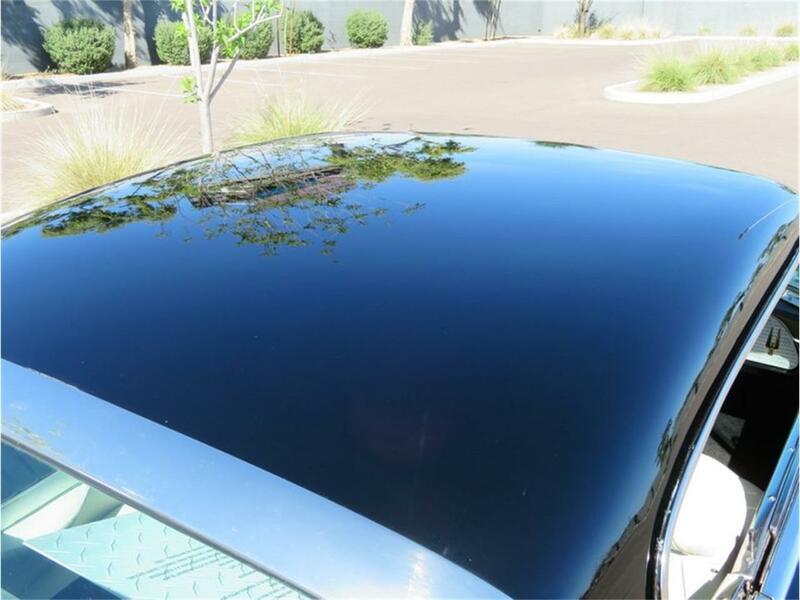 Looking sharp and attractive in its factory-correct Tuxedo Black with Brushed Aluminum inserts dual exhaust this is an outstanding car with a superb presentation. 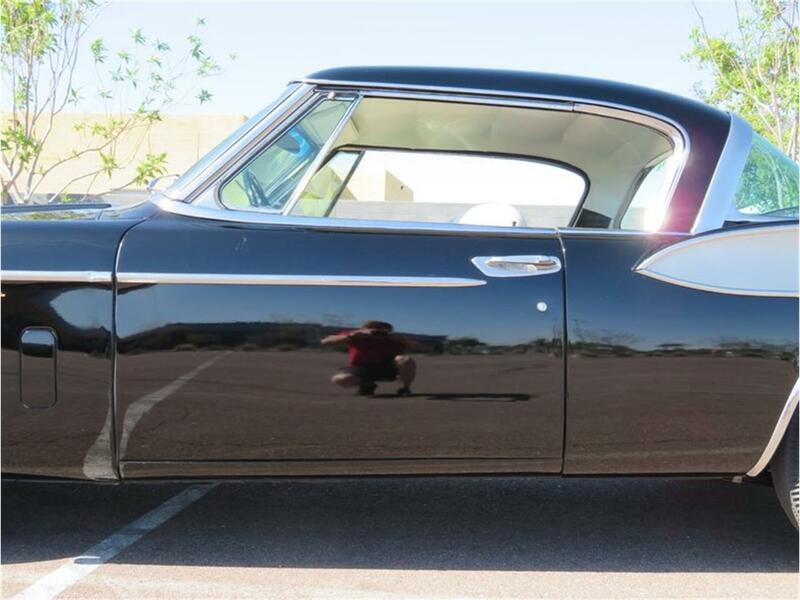 The handsome body is very straight with consistent panel gaps and doors that shut with satisfying solidity. 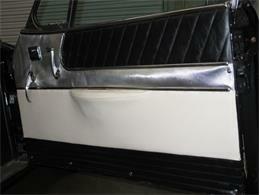 Paintwork is highly attractive having been well-maintained since the restoration was completed. 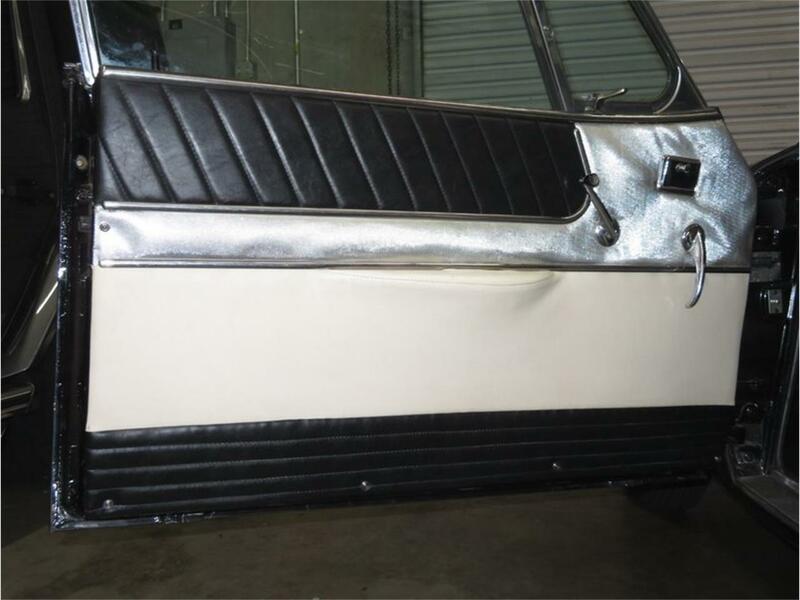 Receipt shows $9k spent on paint job! 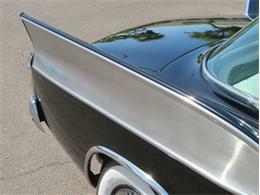 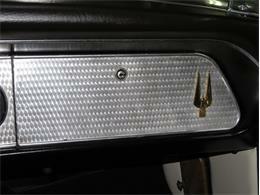 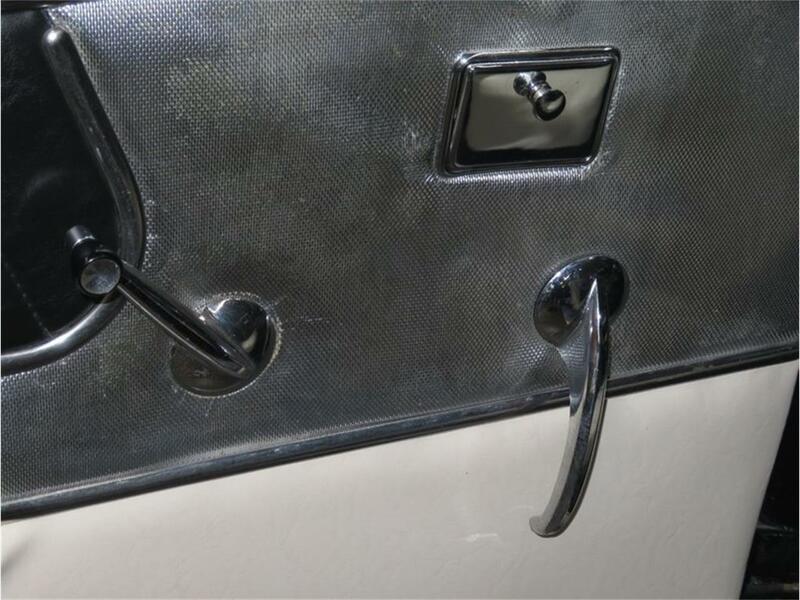 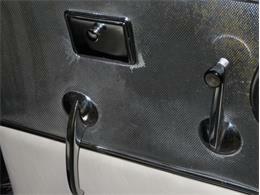 Chrome and stainless brightwork is in beautiful condition overall with a mix of restored and preserved original pieces. 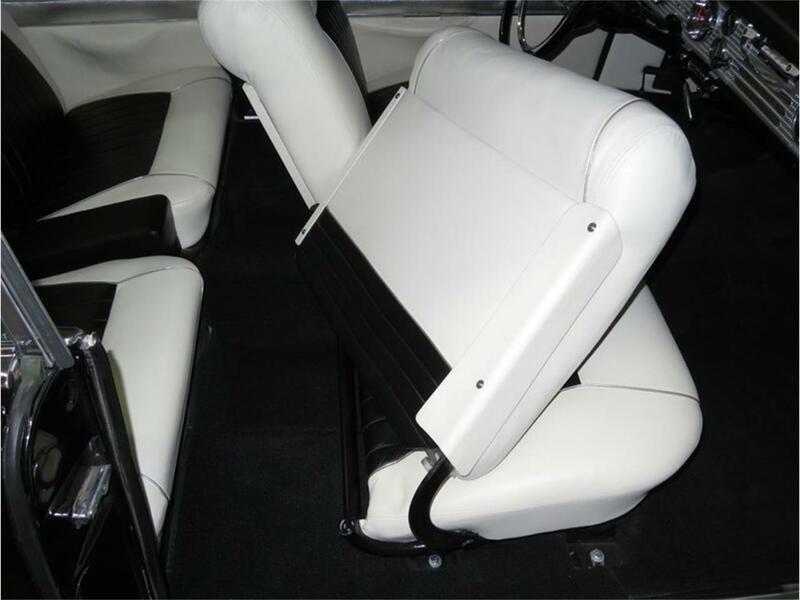 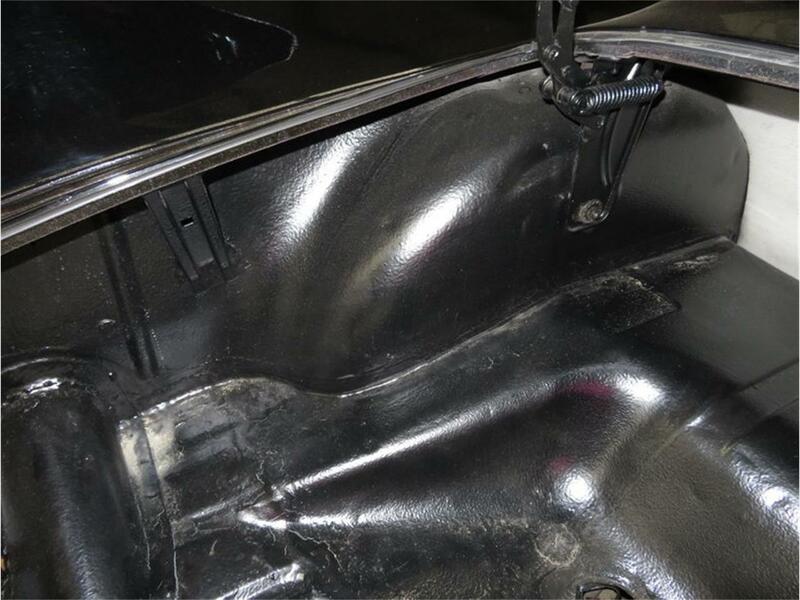 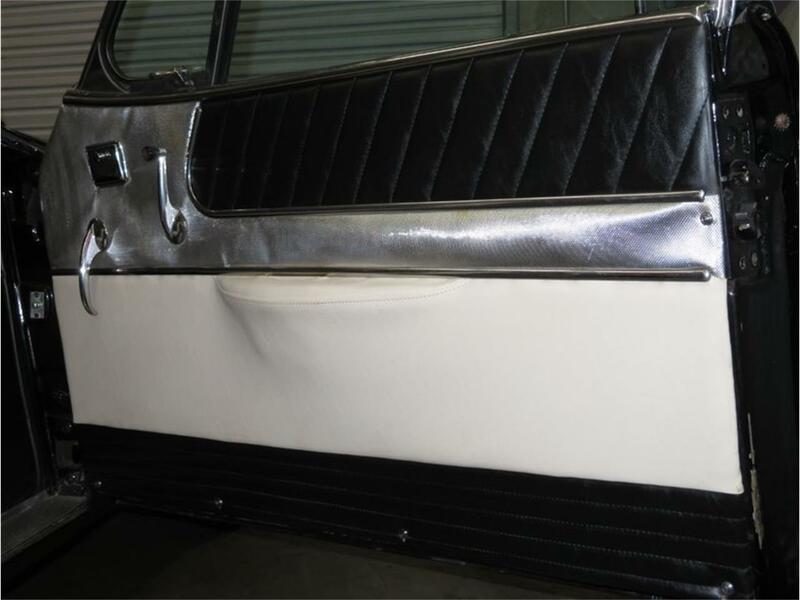 The bumpers feature excellent plating and the stainless side moldings and window trims are straight and properly aligned. 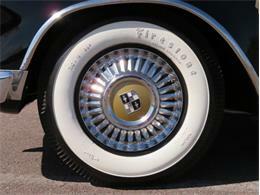 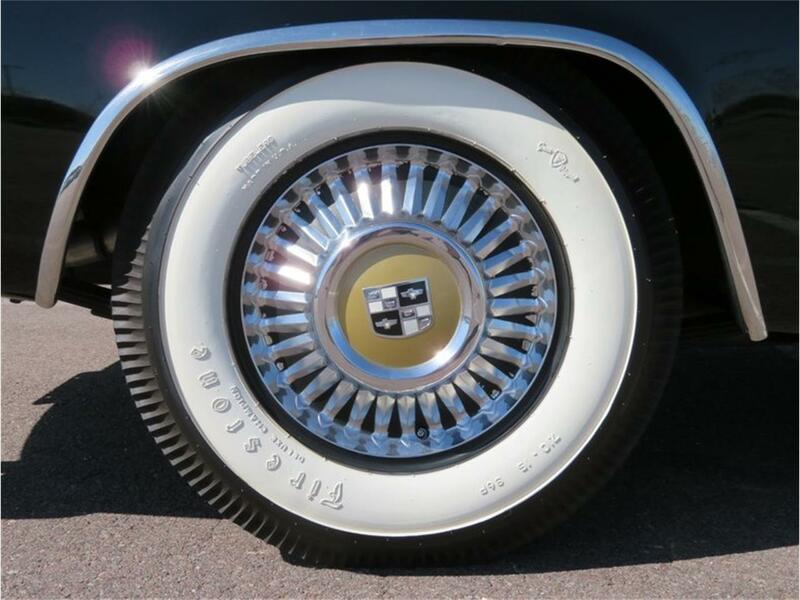 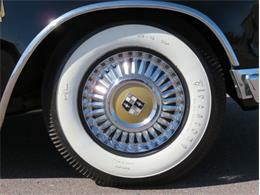 Like the Starliner before it the Golden Hawk is rakish and low; this car sitting properly on original steel wheels with original stainless hubcaps and fresh Firestone Deluxe Champion wide-whitewall tires. 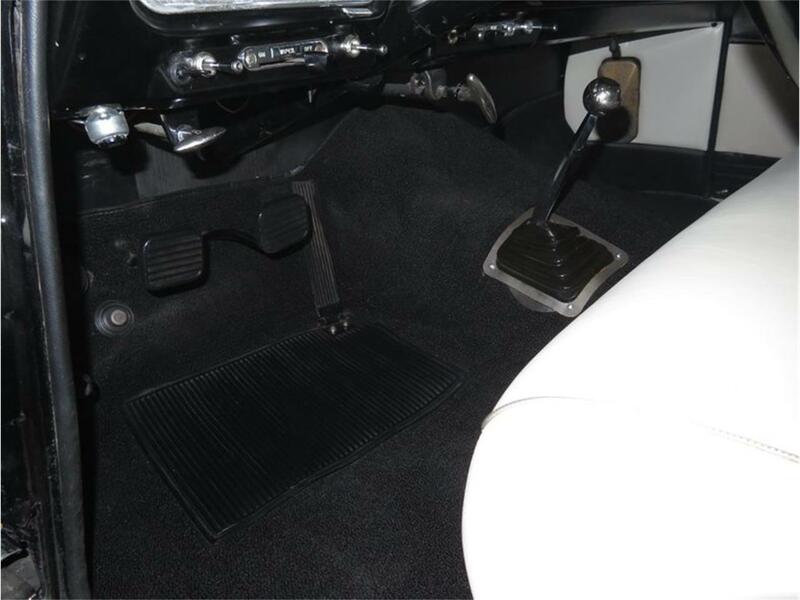 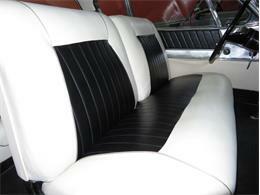 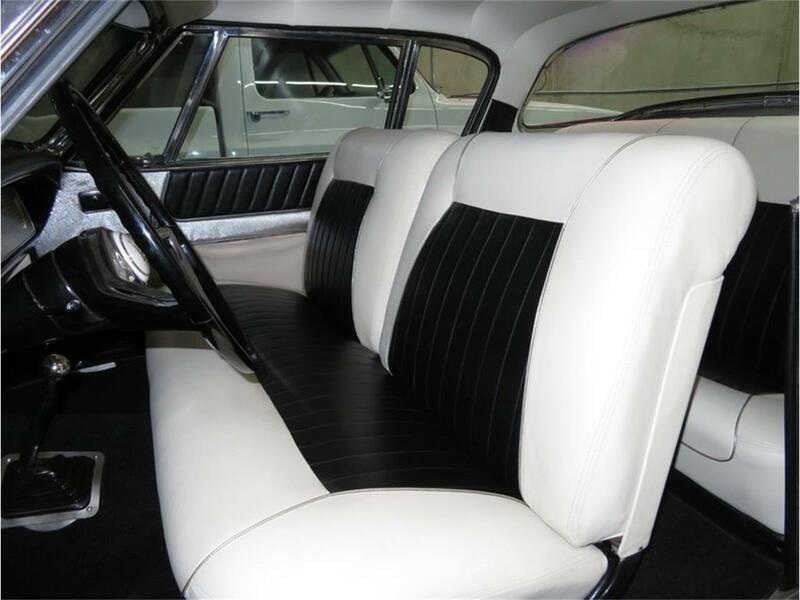 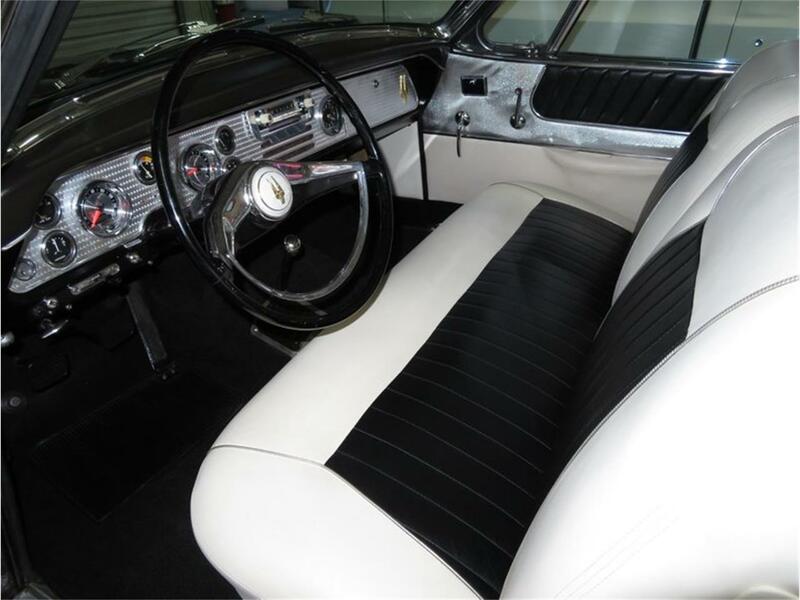 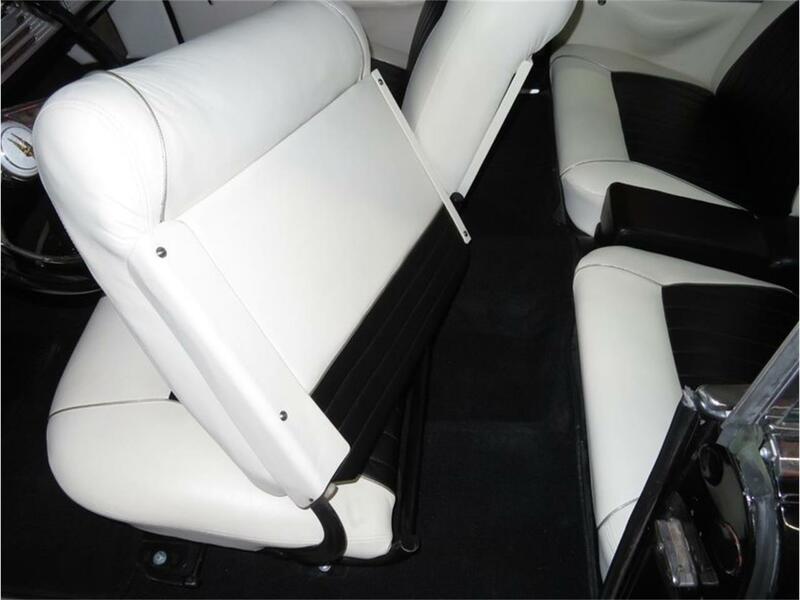 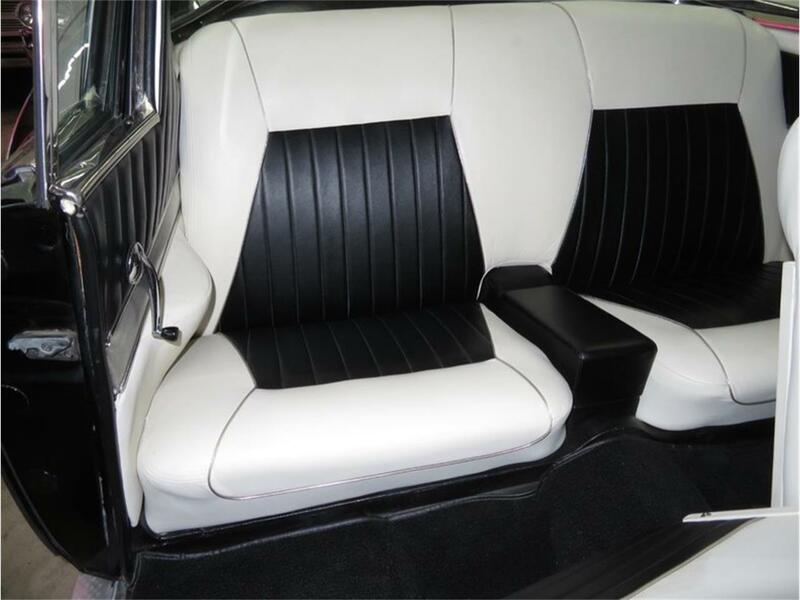 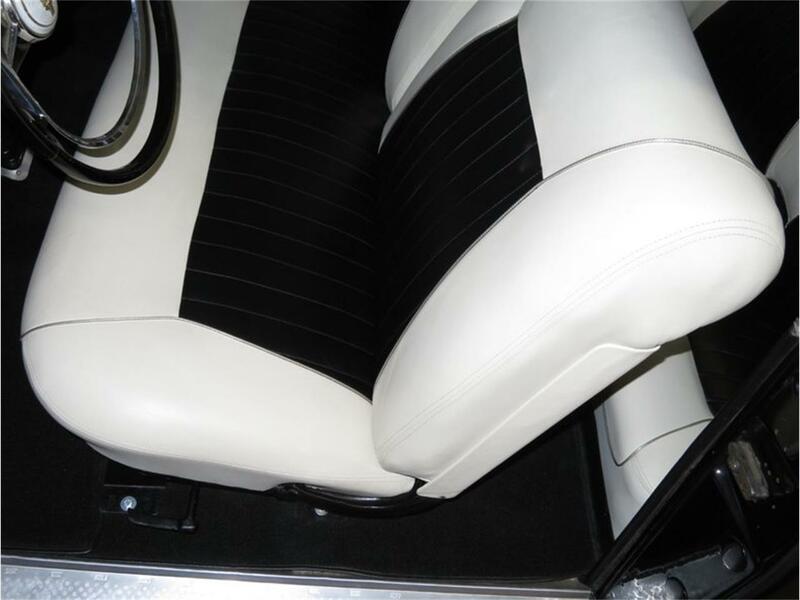 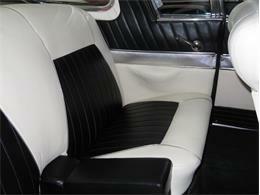 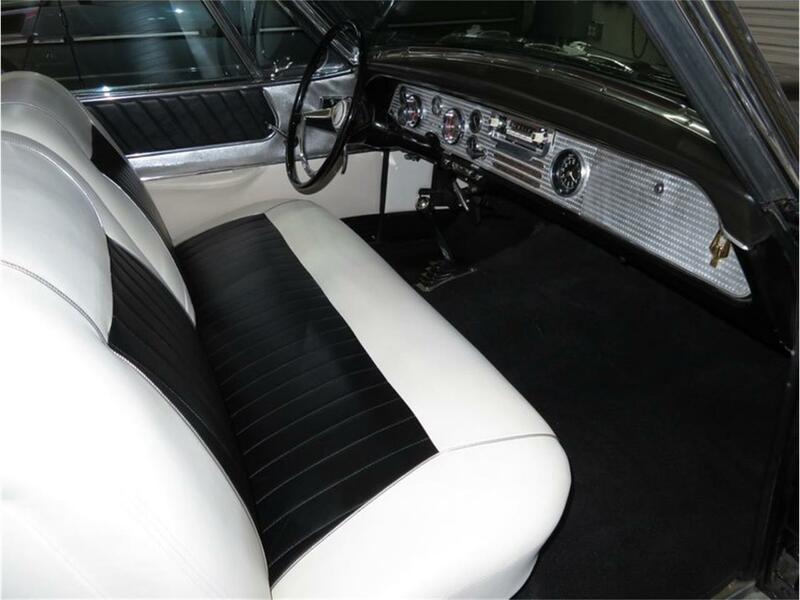 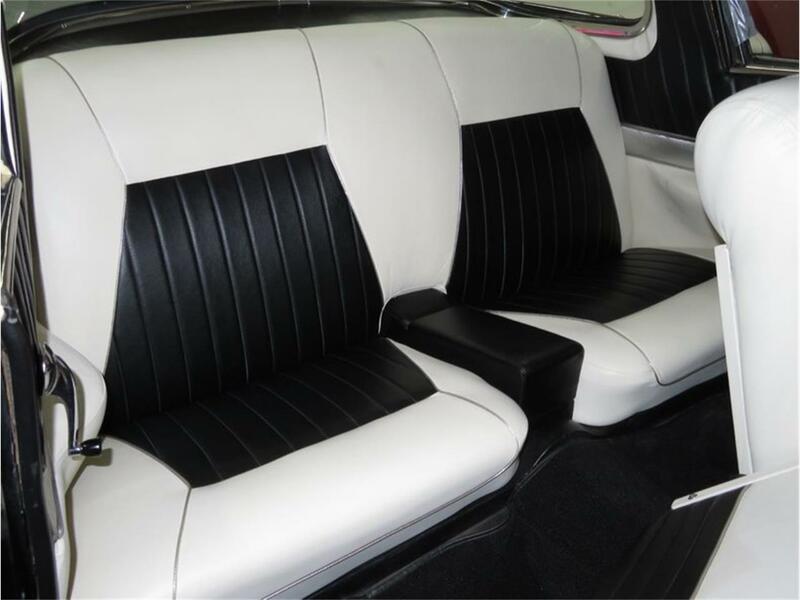 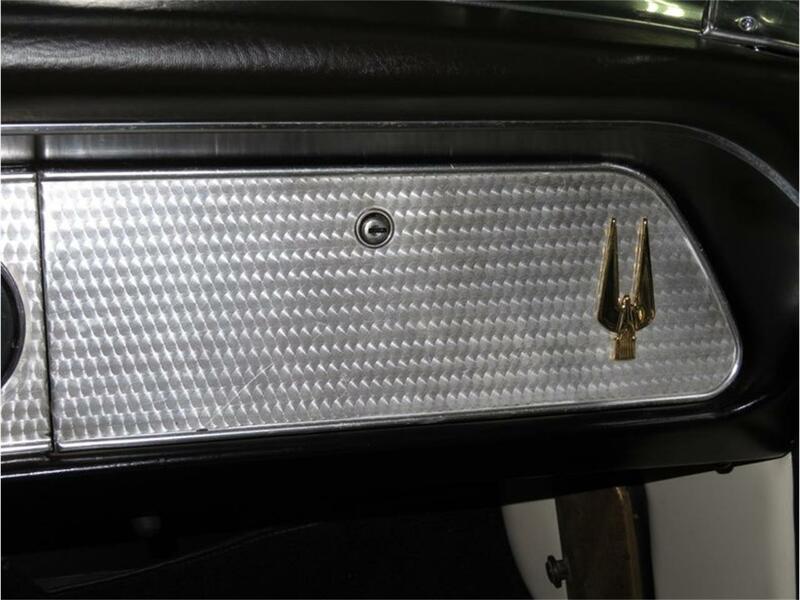 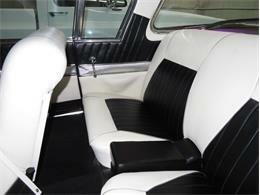 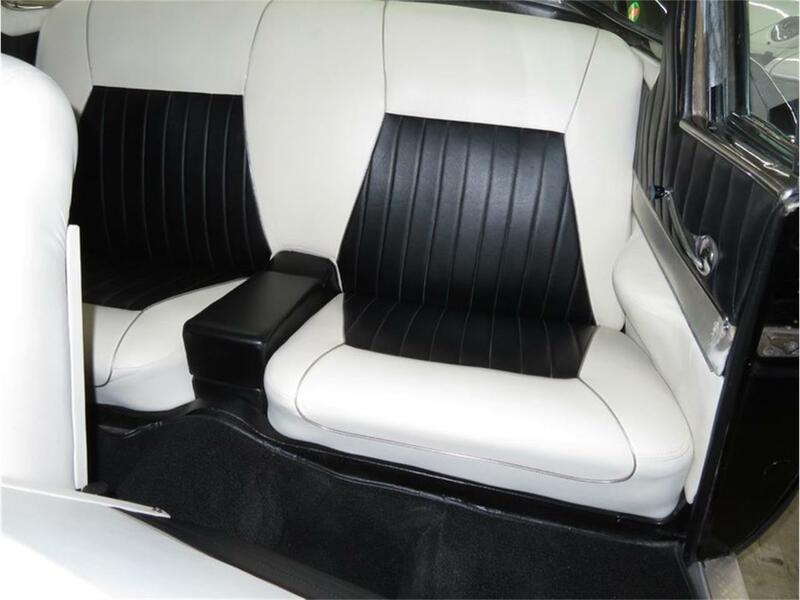 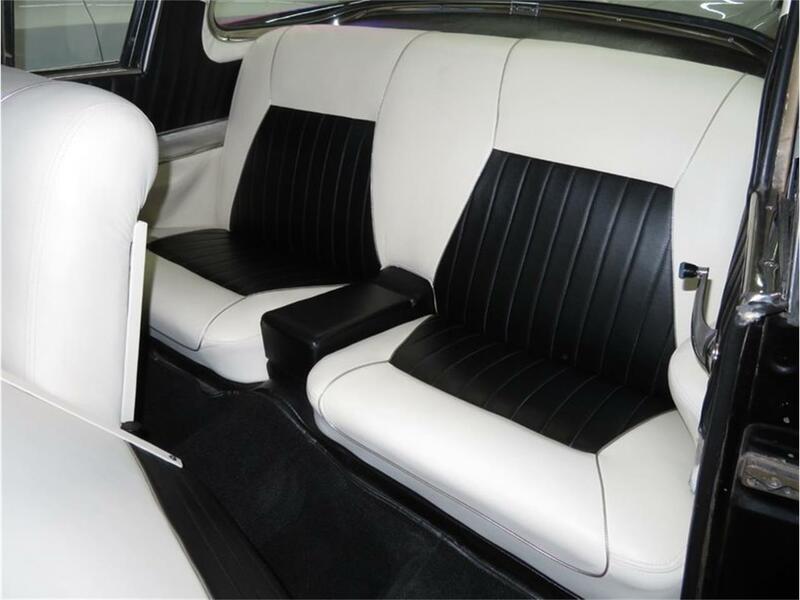 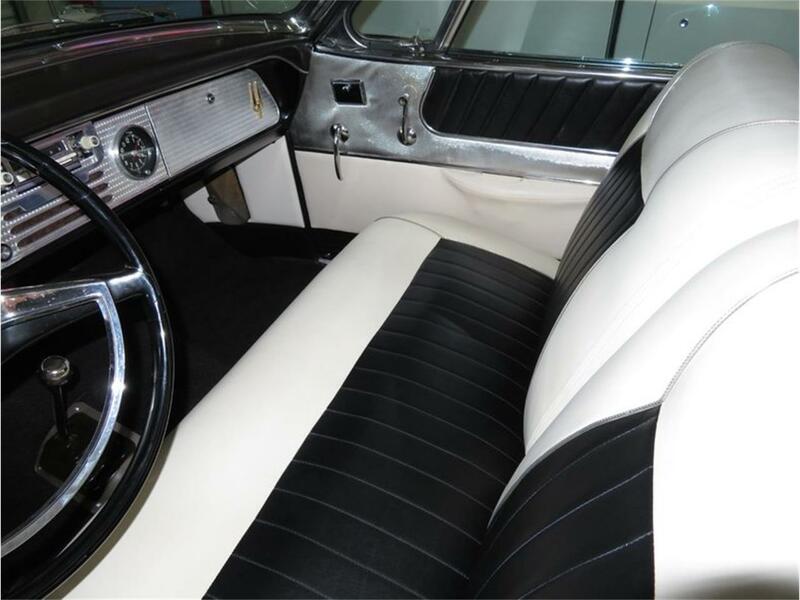 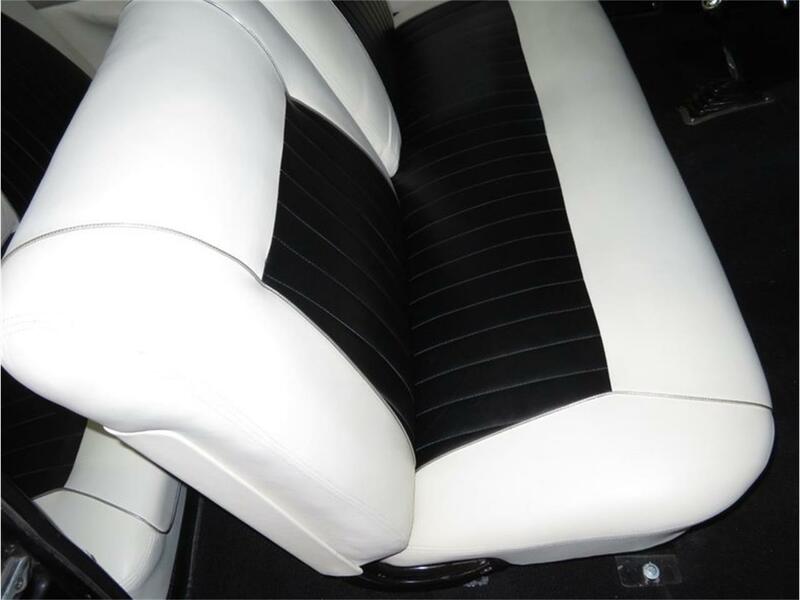 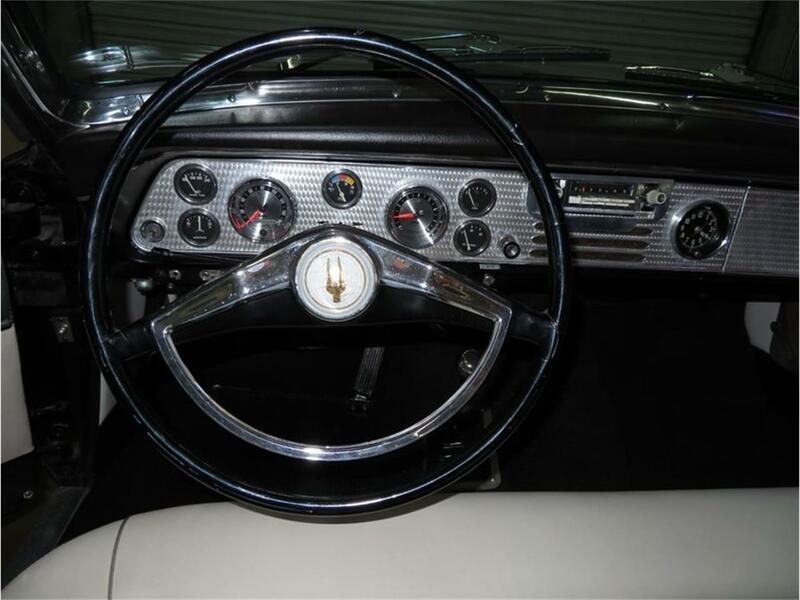 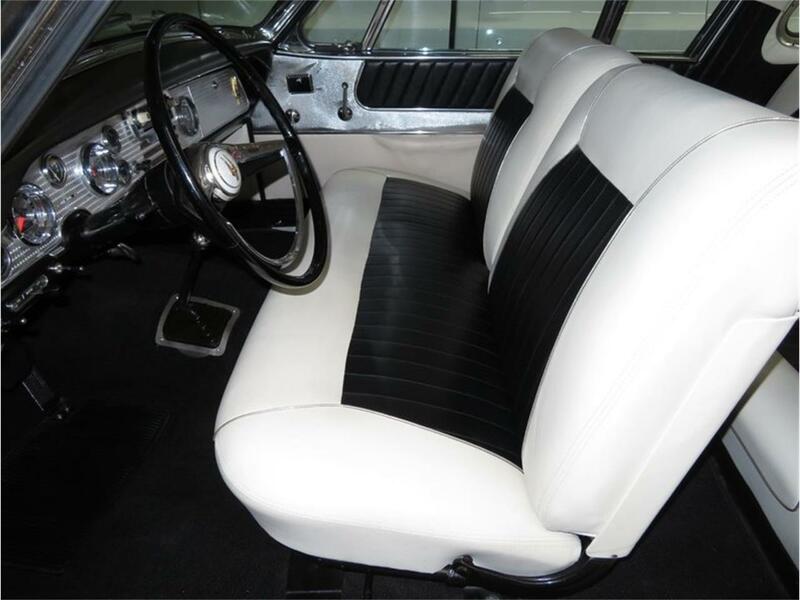 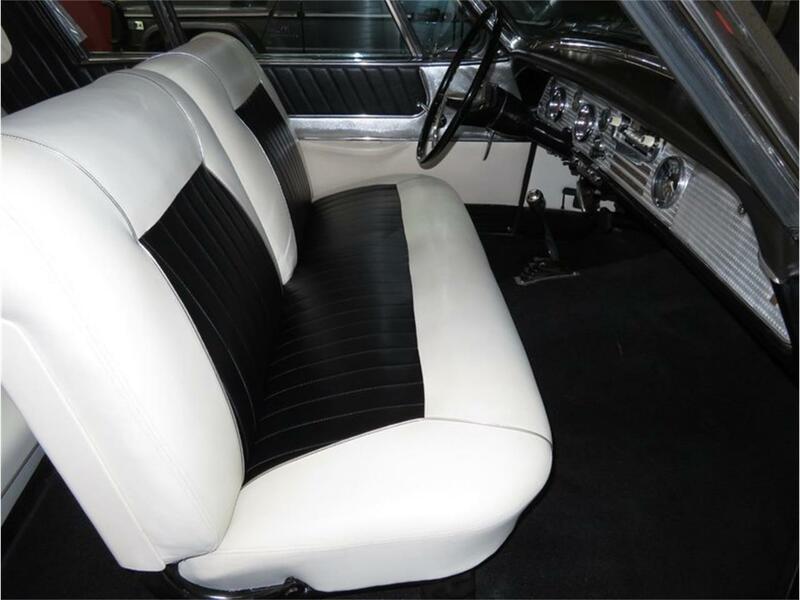 A rare and desirable black and white glove soft Leather interior presents in excellent condition with restored seats complementing preserved original two-tone door and interior panels. 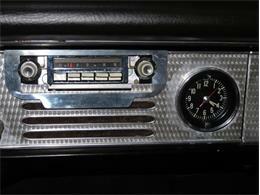 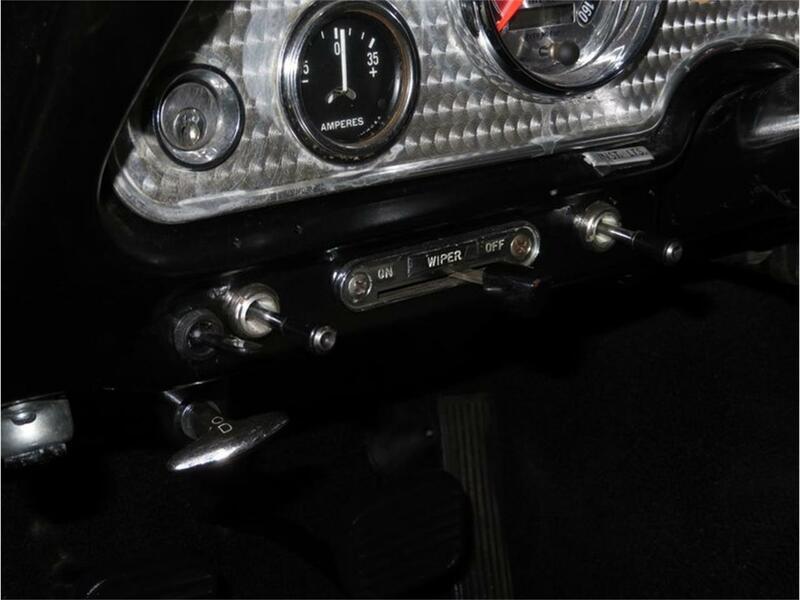 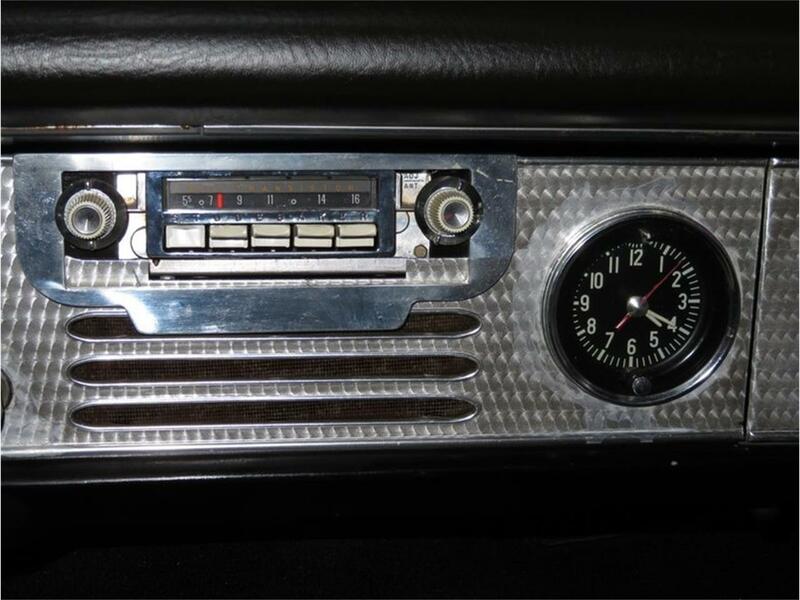 The original radio remains in place and the fittings and controls all appear to be excellent originals. 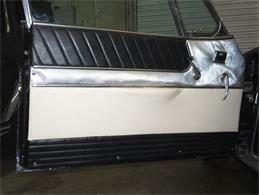 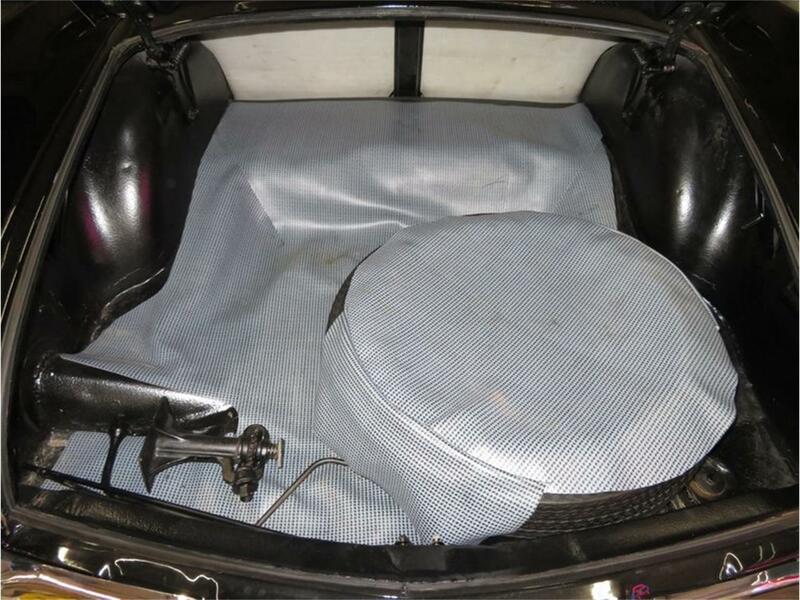 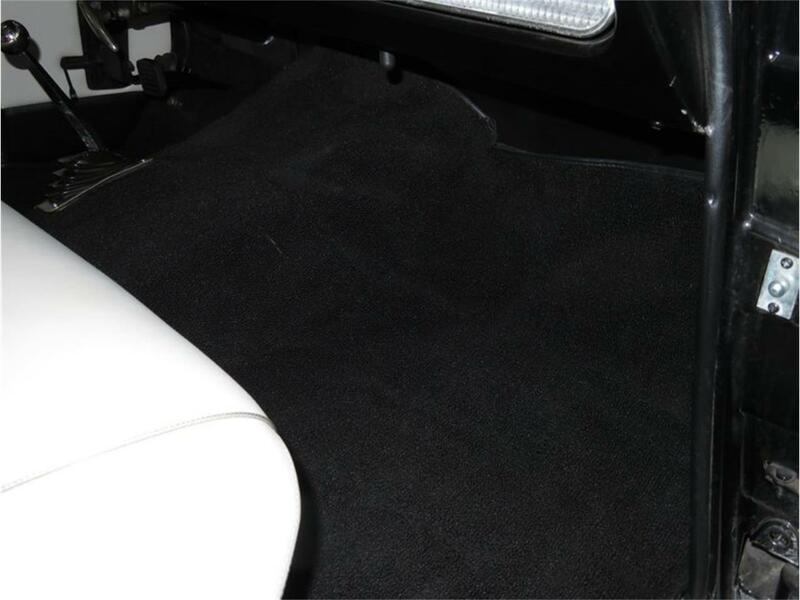 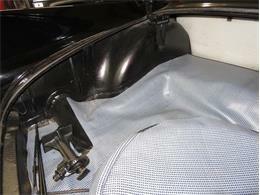 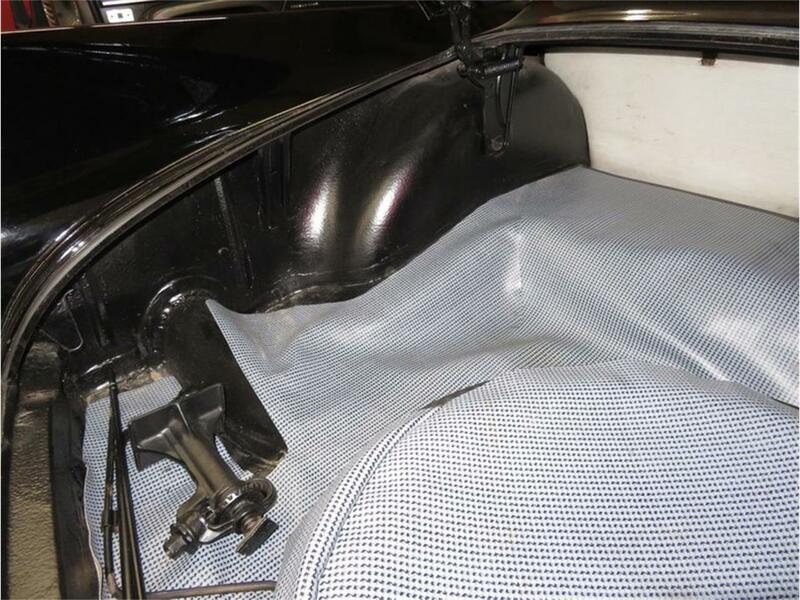 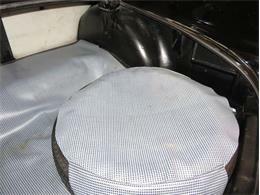 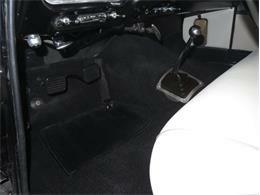 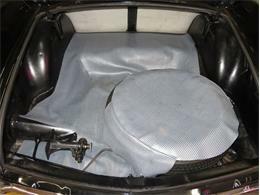 Carpets are correct black nylon loop and the trunk is properly detailed housing the spare wheel and jack. The spacious and comfortable interior gave the Golden Hawk an advantage over the competition allowing room for five while appealing to the sporting driver with its purposeful race-inspired gauges and engine-turned alloy fascia. 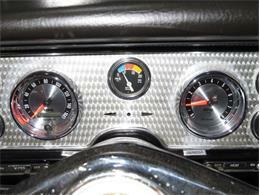 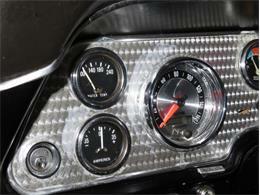 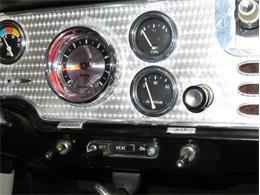 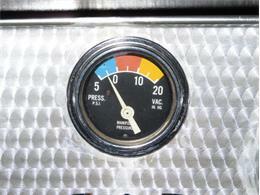 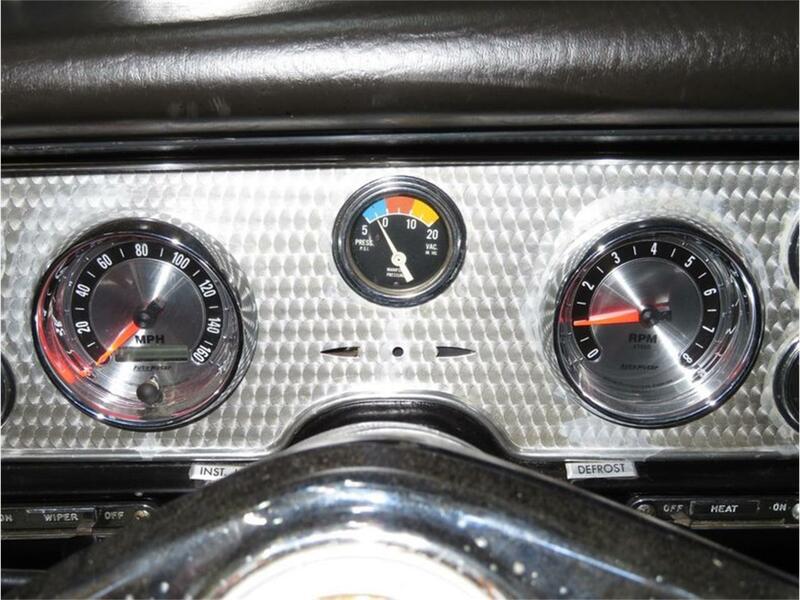 The gauges are updated with digital speedometer showing under 2,000 miles since restoration. 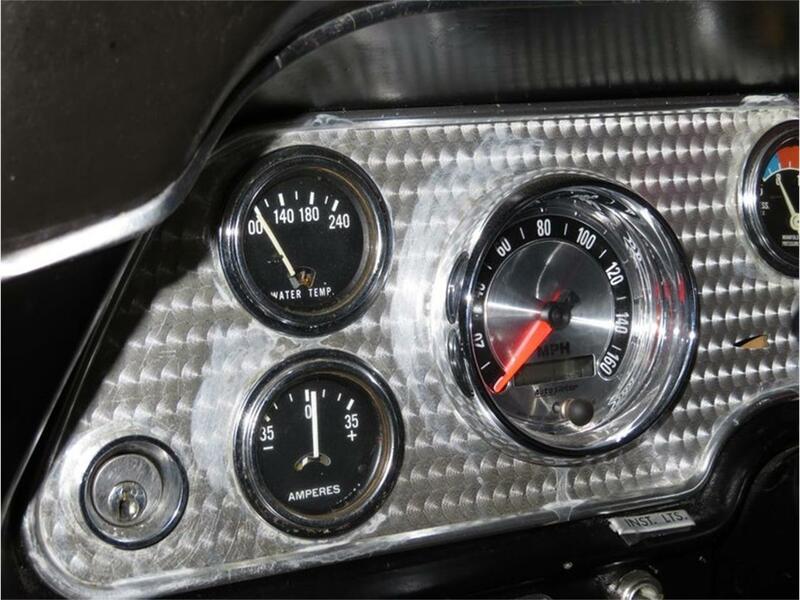 The original Odometer cluster shows just over 40,000 which is believed to be original. 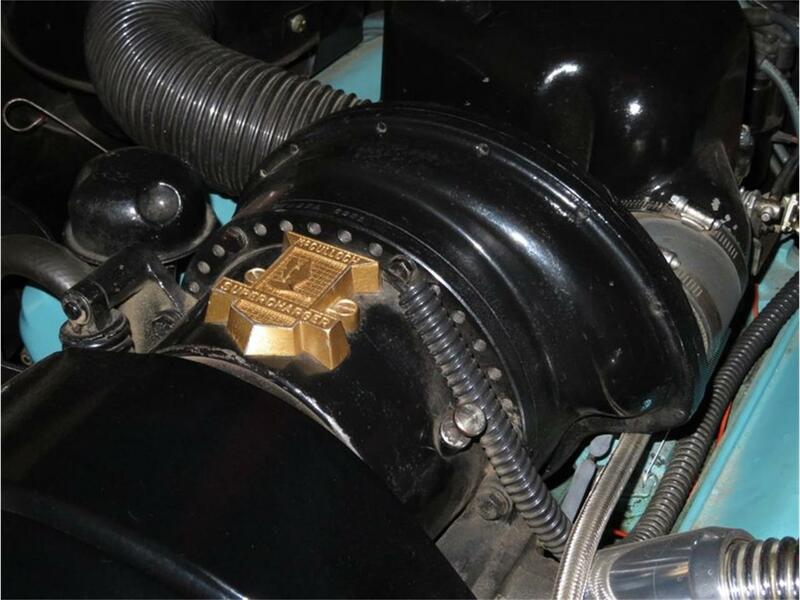 The McCullough Supercharged 289 cubic inch V8 is tidy and well detailed with correct air cleaner fittings and hardware. 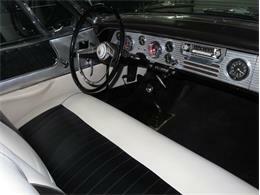 It is clean and appears well sorted without being fussy or over-restored. 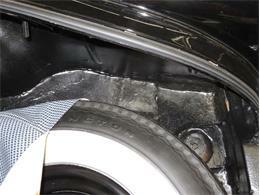 The undercarriage is similarly tidy appearing very correct and showing minimal road use. 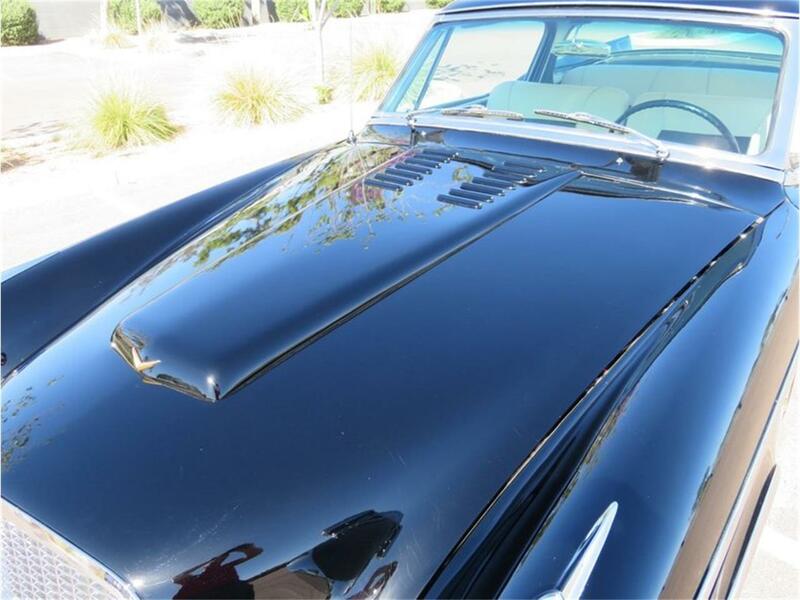 The engine runs strong and the car is simply a pleasure to drive; the abundant power and low-end torque from that blown V8 lending it an impressive turn of speed. 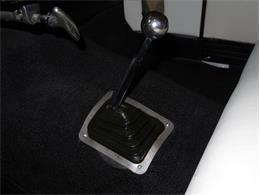 Power is sent through an manual transmission with overdrive and optional Twin-Traction rear differential. 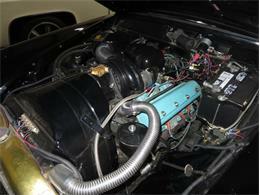 The large stack of receipts shows overhaul of cooling, brake, suspension, exhaust and carburetor systems. 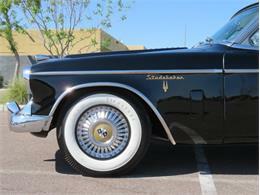 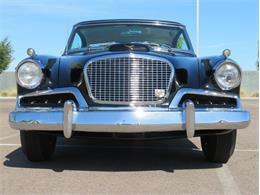 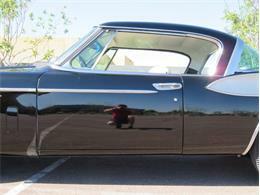 Hi, I'm interested in your 1957 Studebaker Golden Hawk listed for sale on ClassicCars.com for $44,900.00.